I very much enjoyed my time at Patricia’s place. I was on a bit of a work-cation so I was in the cottage a lot of the time, but did take many walks with my dog down the country road which basically is everything you would want in a country road! Even saw a lovely deer. Take a walk to the right of her place and you will find yourself essentially alone in the woods. Really great place to be by yourself too especially if you do not want to be completely by yourself as Patricia is next door in case you should need anything. The studio was larger than I expected and very comfortable. The scones were a reason to wake up early and I enjoyed every one of them. Good morning Patricia, I just wanted to drop you a note to tell you that Bettina and I thoroughly enjoyed our stay in your lovely cottage. Instead of staying in a strange place, it felt like I was returning home. Everything was exactly as described and as pictured. The sense of familiarity provided us with all the warmth and comforts of home. I particularly enjoyed the Orange juice and scones that you were kind enough to provide each morning. They went perfectly with my morning coffee. Patricia’s little B&B was very cozy and comfortable. We enjoyed a nice weekend getaway from the city, hiked through the snow, and got to take our dog along for the ride! The town of Shelburne Falls is so cute! We can’t wait to come back when it’s more lively in the summer. It was also great waking up to scones and OJ every morning — very nice touch! Exactly as described apartment attached to owner’s residence in a rural area close to Shelburne Falls..Spacious and well equipped kitchen, comfy bed, couch and chair. Plenty of pet supplies. Daily scones and juice a real plus. Plan to come again. We very much enjoyed our stay at the Cavalier Cottage. Patricia and her rescues are a delight. Take the time to read the short poem about each of her dogs. It will bring a tear to your eye. We especially enjoyed her freshly baked home-made scones and jams each morning of our stay. The cottage is centrally located close to Berkshire East Ski resort and the nearby quaint town of Shelburne Falls. We are already looking forward to booking our next trip! Patricia was pleasant to deal with. The morning biscuits and orange juice were appreciated. Dogs were loud each time we arrived but soon were quiet, just checking us out from their window perch. The place was well supplied and location was beautiful. Great place and experience and we will come back! The cabin had everything you may need. We were able to cook quite a bit while we were there, which was great and exactly what we were hoping for. We didn’t bring too many spices of our own; luckily Pat had the kitchen stocked with all the necessities, even cinnamon for the pancakes we made! Patricia was an amazing host. Her home was incredibly relaxing and had everything we needed, and then some. We looked forward to the fresh vegan English Scones every morning. Patricia respected our privacy, but was incredibly helpful whenever we reached out to her. She was kind enough to offer her services of checking in on our dog while we were out on a particularly long day. Our dog love the space and was just as relaxed as we were. We’re looking forward to visiting again soon. Thank you again for hosting us!! Patricia is wonderful and her place is quaint. There are big windows that looked out on the snow and some wood paneling that gives the place a cozy mountain feel. The amenities and breakfast are nice touches that make you feel at home. Be aware there is no cell reception at the cottage itself. This was a plus for us as it helped to unplug and be present. Would highly recommend. Thank you so much! We had an great time and enjoyed staying in the cottage. Note from Cavalier Cottage:Even though there is no cell phone service right in the cottage – there is excellent wi-fi reception and all that brings communication-wise. Also my landline is always available for guest use. Patricia, We had a lovely stay! The scones and OJ were such a wonderful treat every morning. Toby & Brinkley felt right at home! Thank you so much for being will to allow our boys to come on holiday with us; we enjoyed it all the more. Looking forward to our next stay with you. Until next time. Patricia’s studio is very comfortable, pet friendly, and a great base for exploring the beautiful Deerfield valley area. There were food and water bowls available, dog treats and covers for the furniture, and a small grassy yard for our dog to run around. Morning scones were tasty. Patricia was available to answer all our questions, but at the same time respectful of our privacy. Note there’s no reception, but there is wifi. We had a great stay! What a lovely cottage we found as we drove up a country road in Charlemont.And what a great,spotless and unusual country “suite” awaited us.A very large and beautifully decorated ( in shades of blue) room included a comfortable,sofa ,chair,TV etc and a complete bedroom set.Through 2 glass doorways we found a huge and fully equipped kitchen area.The refrigerator contained jellies,milk,a dozen eggs,and condiments.Cereals were stored in a cabinet.Each day our gracious host provided freshly made scones and juice.The area is perfect,for touring the Mohawk trail and Park, numerous small local towns and well known Berkshire areas.There are trails to walk,zip lines and a skiing area nearby.Our host,loves animals and welcomed our Beagle Reggie with joy. We will return! The place was in a very nice setting. Patricia answered the few questions that we had. The house was small and I suggest only 2 people should occupy the space. Our dogs were happy and welcomed with open arms. Note from Cavalier Cottage: Above was only a party of two. Excellent place to stay, host, and location. Thank you so much Patricia! Your cottage is a wonderful and relaxing place to stay and we had a wonderful time! Can’t wait to come again! Wonderful owner and place in the woods, accommodating our dog, ourselves and at times our grandsons. Clean and well furnished unit attached to owner’s home. coffee, cereals, jams and morning o.j. and scones (biscuits) started the day right for adventures. We were a bit disappointed that the location was several miles from Shelburne Falls but everything else was just right! Just left Cavalier Cottage and I am so grateful for Patricia’s hospitality throughout our stay! I am especially grateful that our fur-baby was not only welcomed, but catered to while we were there. Thank you for a nice stay for us all! I found the cottage to be the ideal spot for our visit, and Patricia the ideal host. Being able to stay stress-free with my traveling cat was a bonus, and Patricia has created a thoughtful and tranquil environment there for pets and their people alike. We stayed a few nights during an extremely hot and humid spell in August; although a window air conditioner was in place, we were very comfortable with the two ceiling fans running to keep things cool. Big screened windows in the main room allowed for maximum air circulation plus a garden view. Plenty of ice in the freezer for cold drinks. We’ll be back next summer to visit friends, and look forward to the full experience once again. A cute cottage off the beaten track Definitely in the country but close enough to lovely cities. The scones and juice every morning were a treat.. the kitchen came in handy..the bed very comfy. The owner was very nice..there if you needed her but respected your privacy. My dog really enjoyed it! My husband and I and our rescue dog, Bodhi, had a great stay at the Cavalier Cottage! Patricia was an amazing host; very accommodating. Prior to our arrival, she had both soy and regular milk ready for my husband and I (I’m vegan). She even made us delicious vegan scones in the morning! Not only that, but she let Bodhi play in the fenced in yard whenever we asked! The cottage was VERY clean and had everything we needed for the weekend; amazing coffee, towels, soap… There was a basket full of local things to do and restaurants to eat. Thank you for making our stay memorable! We can’t wait to come back!! We like to travel with our dogs, and it was so easy to stay with them at Cavalier Cottage. Comfortable and charming for humans and canines alike. We loved the quiet woodsy area and the delicious scones that appeared every morning. When you visit stop in at nearby North Adams for the Museum of Dog. We had a wonderful stay at Patricia’s cottage with our dog. So nice to stay somewhere where dogs are not only tolerated, but welcomed enthusiastically! The cottage itself is very nicely decorated and spacious with a well equipped kitchen. The breakfast scones were a nice touch as well. The location is on a quiet road, a short distance to the charming town of Shelburne Falls. Highly recommended for anyone looking for a relaxing getaway, especially dog owners! This charming cottage is exactly as it appears in the photos/video. We had everything we needed for a relaxing getaway. Patricia is a great host!!! My wife, myself and our 4 legged friend Ashley had a wonderful time in this peaceful setting. A charming cottage and some room for our dog to roam. Patricia is a great hostess. If I can say anything bad about Cavalier Cottage it was that we could only stay two days! The cottage is lovely, very well kept and full of amenities. Both our host and her puppies were very friendly and welcoming. There is a large fenced area in the rear where our own puppy (also a Cavalier) could run and play. Scones (which we especially loved) and orange juice were served for breakfast. We will definitely come again as we are able. My husband and I had a great stay at Cavalier Cottage. We were not only able to bring our dog, but he was enthusiastically welcomed by the owner who made us all feel at home. There was even a fenced in area that our dog was allowed to play in, and a water bowl and treats in our cottage. The owner was very accommodating to our last minute reservation and even allowed us to check in early. The daily homemade English scones were also great! Fantastic hospitality, very clean, and the scones are delicious. The best vacation. Thank you so much for making our family trip a success, we all loved your place and will be back. This is a great place to stay for a couple and pet! The apartment was clean and beautifully furnished, with a comfortable bed and seating area. The kitchen and bedroom are quite spacious, although the bathroom and shower are small. Patricia was a great host and delivered fresh biscuits and orange juice in the morning! A great escape and time away with friends and my pup! Our stay here was wonderful! Patricia greeted my dog, Blue and I as soon as we arrived. The cottage was ready, complete with food and water bowls for blue. I’ve never stayed somewhere before where I felt so calm about having my dog but Patricia makes you truly feel like this is a home away from home. It’s set in a beautiful and quiet area where you can really disconnect, but close enough to everything you might want to see as well! We had a lovely stay and the cabin had everything we needed. Patricia left us a lovely continental breakfast which complimented our omelettes that we made in her fully stocked kitchen. All in all, a lovely stay and I can’t wait to go back! My husband and I stayed two nights after zip lining, we were impressed by the hospitality and coziness of the in-law apartment. There’s plenty of space for two people and a furry friend, with a shared living / bedroom, and dining room with a full kitchen. Although we don’t have a dog, the owner, Pat is very dog friendly and dogs are welcomed to stay overnight. With that, as a non-owner, there was no smell of dog, no dog hair. The bed and pillows are full/firm and very comfortable. There’s a cute breakfast tray to greet you in the morning and I found it to be an easy place to relax and enjoy the time together. It’s quiet, but close driving distance to trails/restaurants and attractions. We will absolutely return here, we left refreshed. This cottage is charming. Patricia has thought of everything. There’s room and appliances to create a large meal. We cook all the time at home so we wanted to eat out. Her recommendations for restaurants was spot on. We spent most of our time in Shelburne Falls, brought the pups back at night so we could go out to dinner. The pups settled right in. She’s very knowledgeable of the area . My husband and our two Chizzers stayed for two nights. We walked the road that goes up the mountain behind the cottage. 8 am delivery of scones and fresh orange juice which were delicious. We will definitely stay again. Thanks for accommodating us, and thanks for the scones! They made me realize that I’ve never had a true British scone before, and now we’re hooked! I hope you will let us come back next year. Patricia’s cavalier cottage was a wonderful place for a little getaway. The place was clean, smelled good, and Patricia adds thoughtful little touches that made it exceptionally welcoming to the two and four legged guests alike! Patricia’s cottage is in a great location for hiking, biking, skiing and exploring in hills along the Mohawk Trail, just a few minutes from lovely Shelburne Falls, and within easy striking distance of the amazing Mass MOCA (North Adams) and Clark Museum (Williamstown). The cottage is attractively decorated, perfectly quiet, and feels very private, with all the conveniences… decent wireless, coffee, etc., etc. It’s perfect for a couple on a getaway, with the added benefit that dogs are 100% welcome! Lovely, cozy, and peaceful. Truly a delightful stay under short-notice circumstances. Wonderful in winter, would love to see it in the summer sometime. Can’t recommend it enough! Patricia was such a kind and welcoming host, both to me and to my Maltese. Her cottage is cozy, quiet and very clean… and in such a scenic area! I stayed for 4 weeks and had no complaints whatsoever. The cottage was more spacious than I’d imagined, everything was in good working order, and the bed and pillows were so comfortable! I was amazed at just how quickly my dog felt right at home. I recommend Patricia’ s cottage to anyone who is considering booking it and hope to stay again myself in the not-so-distant future! We loved our stay at the cottage and Chloe discovered that she is a sled dog! All the best for the New Year and we hope to stay again! Beautiful, comfortable apartment with private entrance, in the country/woods but only a few minutes drive to Shelburne Falls village and bridge of flowers . Nice combination bedroom/living room, separate full kitchen, private bath. Bathroom is small but fully functional and the rest of the place was larger than we expected and nicely decorated. Patricia is a lovely host, helpful and available but giving privacy also. Being able to travel with our dog Gracie was wonderful. Highly recommended! I spent some lovely evening/night at the Cavalier Cottage with my dog, Tulla. Pat has a lovely home in the woods, and I loved the setting. I sat on the deck with Tulla and had a nice cup of tea and watched the sun go down. The cottage has everything you could need! Warm scones for breakfast were yummy. Shelbourne Falls is such a friendly town. Will definitely be returning. THANKS PAT!! Perfect setup for me and my 3 dogs. This was just a perfect, cozy place for me and my 3 dogs to relax. It is walk out to an area for the dogs, includes kitchen, TV, living and sleeping areas and is private. It was perfect for me and my needs. Everything was perfect! Pat is extremely welcoming without being at all intrusive. The cottage is very attractive and comfortable. We made use of the front patio also. The area is gorgeous with plenty to do. Our dog settled right in. We only wished that we could stay longer! We all had a wonderful time! Thank you! Beautiful and Quiet! We brought our 50lb lab/pit mix and were made to feel right at home! This is a great spot, far enough away from it all yet close enough to enjoy tubing or kayaking on the river and take a walk at the Bridge of Flowers. A quaint little cottage tucked in the Mohawk Trail. We were welcomed with open arms and so was Chevy our (blue nose pit bull) old man. He enjoyed the smooth crisp bowl of cold water awaiting him when he arrived with his dog biscuit. He enjoyed his special place to go explore in the outside yard. He felt at home in no time. We also were spoiled when we walked into the spacious rooms. The room was a beautiful blue and was decorated with such care, We enjoyed the assortment of coffee’s and teas. The full kitchen was appreciated, we had a microwave and coffee maker a full stove and fridge. Each morning we got fresh scones hot with butter and assortment of jams with fresh squeezed OJ. We truly enjoyed our pet friends next door greeting us when we came and went. They were sweet dogs. I would recommend this spot to anyone needing a quiet retreat. Clean and comfortable reasonably priced. Best of all if you have a dog bring them along with you, you’ll like the Cavalier Cottage. Scones and orange juice each morning. Patricia, thank you again for allowing us to stay, and for assisting us in letting Gimlet out so we could do some hiking and long drives with Bruce! Your Shelburne Falls dinner recommendation (the Hearty Eats) was also delicious. My husband and I enjoyed our stay at the Cavalier Cottage. We had dogs previously but now it was just us. My husband is in a wheelchair and we were able to navigate easily the 3 minor step changes between the carport and the living area. The living room windows opened up 3 feet and the fresh country air filled the kitchen and living area, making sleeping a great experience. The kitchen was well stocked, which made cooking evening and morning meals a pleasure. Quiet of this kind is hard to come by. We recommend it. We recently needed a room near a wedding we were attending in Charlemont, Ma. This place was perfect. The Cavalier Cottage was charming, private, and very clean. Our host was lovely, very friendly and helpful. We had a large bedroom with sitting area, full kitchen with everything anyone would need. It was located right off of Rt. 2 and near the town of Charlemont. We would return in a minute. Loved my stay at Cavalier Cottage! The decor is warm and cozy, with big windows up front that overlook the beautiful garden. In the mornings, I was treated to Patricia’s homemade British scones with jam and fresh orange juice. I spent one evening sitting on the porch, sheltered from the rain, enjoying a glass of wine and a book. I had a great time exploring the area with my dog — the cottage is only about 10 minutes from the center of Shelburne Falls, and there are plenty of state parks with hiking trails nearby. Patricia also made my little companion feel completely welcome. She’s a true dog lover and a gracious host. Patricia’s place was perfect for my boyfriend and I. There’s plenty of things to do in the area. She loves four legged guests! We wanted to see the Berkshires area and chose Shelburne Falls for a couple of days. Having a Cavalier, I was drawn to Patricia’s home. The accommodations were roomy and in a very quiet location with a road that was virtually empty allowing safe walks. The town was close by with all the comforts. Patricia was a gracious host who provided a great start to the day with scones and a great love for the 4 legged guest. Thumbs up! In addition to loving dogs, Pat is a charming host. This was our first time traveling to an Airbnb with our dog, and Pat provides a comfortable, pretty spot for canines and canine lovers. It’s a pretty secluded spot, nice for walking with your four-legged friend. You’re only minutes away from downtown Shelburne Falls, a small, artsy town. Make sure to visit the Bridge of Flowers. Delightful cottage with all the amenities….both people & pet friendly! Great location….just off the main Road yet nice and private….peaceful. We stayed a full week and none of us were ready to go home!!! We were able to cook if we wanted in the kitchen in at the cottage. The owner, Patricia, is very accommodating Just a delightful place to stay….what you see is what you get, nothing less than the tour you view online! Pet and people friendly….wonderful to wake up to freshly made and warm scones and orange juice! Great location! Thank you Cavalier Cottage B&B for making our week’s stay so comfortable! We hope to return soon! We had a lovely weekend stay! Patricia was a wonderful and accommodating host, who greeted us upon arrival and gave us a thorough tour of the space. The breakfast scones and orange juice each morning were a great touch. The area is beautiful and we loved the easy access to Massachusetts Museum of Contemporary Art. If you’re looking for pet-friendly accommodation in Western Mass– you’ve found it. Patricia is a great host and was very accommodating for us and our smaller furry family members. Thanks for a great visit with our pups– we appreciated being able to take them with us for our weekend trip! Your home is quite tranquil and made us wish for proximity to woods/creek for our next home. I was playing for a nearby festival and was so pleased to find Cavalier Cottage. It can be very hard to find a pet-friendly, affordable, quiet place that will rent for a short 2 night stay on a holiday weekend, much less one in such a beautiful, idyllic location. Bonus, there is ample breakfast provided and cruelty free cleaning products. My dogs loved being able to lounge on the couch, the couch being covered with a supplied cover to keep things nice. It’s really a lovely place and Patricia is a lovely person. 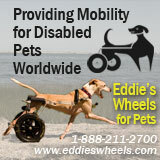 My husband and I needed pet-friendly accomodations near Shelburne Falls, MA because we had a morning appointment with Eddie’s Wheels for Pets. The staff at Eddie’s told us about Cavalier Cottage. Humans and dogs alike were greeted by the owner upon arrival who made sure we were well aware of the layout and amenities of the cottage and, was happy to offer suggestions for dining and area attractions. A photo of our dogs was taken to add to the 4-legged guest section of the website. In the morning, we were treated to warm scones with a variety of jams and fresh orange juice. Although our stay was brief, I would definitely stay again if back in the area, and would recommend to others. The charm of the cottage and graciousness of the owner far exceed the generic experience of staying at a chain hotel. Perfect set up for a comfortable stay with our dog Ellie. We recently spent three nights at the Cavalier Cottage as it is close to our new home and we needed a place to stay before we moved in. The cottage was close to shopping, restaurants and wonderful hiking spots. We loved the comfort of the cottage, especially having a fully equipped kitchen and deck to sit outside. The cottage was clean and had all the amenities of home. Pat was so kind and helpful and Ellie enjoyed the freedom to walk outside and meet Pat’s lovely Cavaliers. We would definitely recommend the cottage to anyone staying in the area. Once again, for the third time in the past three years, Alexander,Pete and I drove the most scenic anywhere (RT 2) to our favorite vacation destination,Cavalier Cottage in Charlemont, MA, considered to be our vacation home away from home. Our ten legs were greeted by Patricia Butterfield, the most engaging and delightful innkeeper anywhere. Patricia’s dog friendly cabin nestled in the midst of the Mohawk Trail, which afforded my precocious Scottish terriers a boundless bonanza of trails to explore and small creatures to stalk. As always our stay was too short, but Patricia’s morning orange juice and freshly baked scones, and her delightful personality will continue to allure us time and time again. In fact, we plan to return in early September. We enjoyed a mini vacation at this beautiful cottage retreat with our golden retriever Ivy Grace. Ivy Grace in in a wheelchair and she was able to manouver with no problem inside or out. Our hostess was wonderful and served the most delicious scones fresh from her oven in the morning. She was so quiet we forgot she was even on the premises. The cottage is extremely clean and very well maintained. We will definitely stay there again. Patricia was a great host. Clean and cozy cottage. Homemade biscuits were great. Cavalier Cottage: A quiet, welcoming break from All The Rest of It. Cavalier Cottage offers an immaculate, spotless, fully-equipped two-room “home base” for you and your pet(s). A little way up a quiet country road (directly off, and a straight line from, Rte. 2); a gracious, welcoming owner to greet you and make wonderful scones/biscuits for you every morning; a marvelous queen bed; full roomy kitchen with all the amenities. Though it may be a cliché to say so, we were reluctant to return to our “real life” when our stay ended. Highest possible recommendation. The cottage was lovely. Its spacious, clean and beautifully decorated. Its on a very quiet country road. Extremely welcoming of my 100 pound pup. There are two rooms a large living area with a king size bed and large sitting area and a large kitchen. Patricia was gracious and welcoming. Truly worth the trip. We had a great time at Patricia’s BnB. It is really calm and relaxing. We had a nice hike in the Mohawk Trail State Forest. We also enjoyed a dinner and drink in cute places in Shelburne Falls. I would recommend it ! Decided to take a last minute adventure to the Berkshires with my husband, two boys, and two beagles. We couldn’t have been more pleased with the Cavalier Cottage tucked away off a beautiful mountainside road. Patricia was very hospitable, and more than kind to our pets. Each morning we were served warm scones and fresh orange juice, made for the perfect last minute getaway. We hope to visit again! We had a wonderful stay at Cavalier Cottage. My fiancé and I wanted a short getaway and were very happy to find a place we could easily bring our dog. Unfortunately, we had a bit of bad weather but the surrounding area seems like it would be beautiful in the summer. There are also great winter hiking, skiing, and snow tubing options nearby and board games, tv access, and hot chocolate in the cottage for a cozy night in! We also visited the flagship Yankee Candle store nearby which was lots of fun. Finally, we really enjoyed the warm scones for breakfast, served with a great selection of jams. Overall a very enjoyable stay! Your scones were delicious and something to look forward to every morning. Thank you for making our stay exceedingly comfortable and cozy. This place was everything my fiancee and I hoped for: quiet, private, secluded and perfectly charming. Patricia was a gracious host and made sure we were well taken care of. If you’re looking for a romantic spot to escape to that’s a short drive from some excellent hiking and outdoor spots, this is the place for you. We (and our dog) would definitely stay here again! Thanks for your hospitality Patricia! It was a real treat staying at your cottage. Next time (hopefully) we’ll have a four-legged friend with us. My husband and I had a three-day, out-of-this-world-relaxing stay at Cavalier Cottage. Not only were we able to bring our two rescue companions, but the inside of this adorable cabin is the most impeccably decorated I’ve seen, right down to place mats, linens, and coasters. The cottage in the words was quiet and peaceful, and the owner even supplied freshly-made (and still warm!) scones and freshly-squeezed juice for breakfast. She was also incredibly accommodating when I asked if my college age son and his friend could join us and was gracious with their last minute plans. Everything is there that you will need — and even the household cleansers (hand soap, dish soap, etc.) are brands that are sustainably made and cruelty-free. Can hardly wait for my schedule to allow another trip! Patricia was wonderful throughout the stay, and served up terrific scones and OJ each morning. A great quiet place to stay that is truly dog friendly. Highly recommended. Very good if brief stay. We recently stayed for four nights and could have stayed longer! The cottage is wonderful. All the creature comforts are there. Great kitchen area and a great couch to lounge on. Our dog Ivy loved it and gives it four paws. I wish there were more places like this gem that is so very comfortable and welcoming for those who love to travel with their dogs! If you want to take your four legged friends to a unique and welcoming place, and spend some quality time with your most loyal and devoted friends, this is the place to do it any time of the year – spring, summer, fall and winter. I, and my two Scottish terriers, Alexander and Pete, just returned home from a 5-day stay at Cavalier Cottage. After losing my wife of 48 years last year, and her favorite Scottish terrier this past May, it was time to gather my thoughts about my most profound losses – my spouse and her beloved Scottie. Neither my spouse, nor her memorable Scottie were replaceable, but I have added a new Wheaten Scottie to join Alexander, my current 5-year old boy and, after all that has happened over the past year, my new family is one, and complete again, and Cavalier Cottage is and was the perfect place to begin anew and, yes, we plan to visit again in the Spring of 2017. My wife, dog and I found the cottage to be a lovely cozy little getaway. P. was a very gracious host. The place was just as described. Our weekend was cut short due to an aggressive dog biting my dog in Shelburne Falls. Unfortunately we were only able to spend one night out of two. At least I got a chance to taste the hot and fresh scones I read so much about Saturday morning before having to head home. I hope to return again for a full weekend and experience all the cottage and surroundings have to offer. Patricia was a great host – there to greet us even though we were late getting in. The cottage is adorable and decorated so beautifully. Lots of little touches to make it feel like home. Breakfast scones were delicious! Patricia’s love of animals made us feel so comfortable bringing our dog, Max, along on this getaway. Had a great time visiting nearby Shelburne Falls and MASS MoCA. Patricia was great and very welcoming. The apartment was spacious and comfortable. We would definitely stay again and recommend for people traveling with pets. The Cavalier Cottage is a charming cottage nestled in the woods about 1 mile off the Mohawk Trail (Route 2) about 5 minutes from Shelburne Falls and the Bridge of Flowers. This was the perfect spot to stay on a foliage trip through Northern Mass and Southern VT for our Anniversary. The cottage is close to some nice attractions, the Pioneer Valley,, and the Mt. Snow areas but is far enough away from the main highway so the surrounding area offers much pleasant peace and quiet in the evening. The owner has five wonderful Cavalier King Charles Spaniel dogs who greeted us when we first arrived. My wife and I have two Cavies ourselves (Reuben and Honey Rachael) and we got to meet one of the dogs. Though not truly a B and B, Pat the owner makes scones for the guests each AM with some OJ. There is a kitchen stocked with utensils/dishes and the bedroom/sitting room is charming with plenty of tourist info and Dish TV (included). I rate this place 4 stars out of 5 With the only blemish being a rather small bathroom. Overall a very good stay. Patricia was a great host. The studio apt. was just as pictures showed and the kitchen was very large and well equipped. The location was perfect for us as it was in the same town as my daughter and grandchild. Her scones were delicious and we eagerly awaited their delivery every morning! Pat’s place is a palace for pug’s and people alike. Our dogs felt right at home in her cottage, and she’s on a lovely street that was picturesque. Her scones are not to be missed, and the cottage is equipped with board games, puzzles, tea and cocoa and more. We’ll certainly be back. Great place to enjoy nature, spend long days hiking and walking with dogs. Nice kitchen area to cook and make meals. Cozy and inviting. My dogs, Aaron, Molly and Sebastian, and I enjoyed our stay at Cavalier Cottage! Pat was wonderful and attended to all our needs. Our cottage was clean as can be and very, very comfortable. The scones and orange juice each morning? YUMMY! We look forward to returning! We so enjoyed our second stay at Cavalier Cottage, even more relaxing than the first time. Maybe because we knew exactly what to expect. Our dog remembered it there too and just loves walks on the country road. We will definitely go back! Great place to stay with your fur kids! Cottage met all our needs, and Patricia is a great hostess! Love the quiet, private location yet close enough to town. We will definitely be back. Pleasant cottage with full amenities. Breathtaking rural location. Very dog friendly. Close to local town and activities. Pat (the nice lady that runs this B&B) delivers morning scones and orange juice (yum) and she offers to dog sit too. Cavalier Cottage in my humble opinion is a well run, very clean, peaceful, and charming place to stay. Our dog loves to go on road trips and while many places say they are dog friendly they have a long list of rules. Patricia does not and it made our visit so relaxed and fun.The Cottage is close to good places to dine and some fun shopping and walking around. We loved it and would go again in a heart beat and Winnie our dog had a blast. Places like this one are rare. The hostess, the facility itself, and the setting are all beyond compare. Patricia is warm and welcoming, friendly but never intrusive. She thinks of the details, provides freshly-baked scones each morning, and has the kitchen stocked with great breakfast items beyond that. When we hit snags with lodging at our next location, the day we left her place to go on our way, she even got busy and located a great alternative place we could go! We felt like we made a friend, and one we cherish. She cared about us and about all our animals, and was welcoming to them as well as to us. It was clear that she honestly cares about people and their pets, and that she sees them as part of the family just like we do. The place itself is quiet and beautiful, extremely comfortable, and it has a fabulous full kitchen. The setting is incredible, with trees so tall the road there is like a tunnel in places. We even saw a bear on that road one evening! And the nearby town of Shelburne Falls quite won our hearts, with cute little stores and places with wonderful home-made pizza and ice cream. Whether you stay for one night or a week, you will be so glad you went to Cavalier Cottage to stay. This place is charming and it’s clear that Patricia takes great care to make everything as perfect as possible for her guests. The place was clean, comfortable, and had everything I needed and more for a weekend stay, and the scones and OJ in the morning were a warm touch. I have told my Colrain family to keep this place in mind for future guests and would definitely stay here again. I found Cavalier Cottage because I was looking for a place to stay where I could bring my two dogs. What I found was a delight; a cottage that I would happily return to even without pets! Cavalier Cottage is on a quiet road (very few cars went by) with a beautiful garden, located between Charlemont and Shelburne Falls. We had daily lovely breakfast of scones, and the home was one of the quietest, most comfortable, and peaceful places I’ve stayed in. The kitchen was very well appointed and we could have easily cooked many meals; Patricia was wonderfully helpful. I’m looking for a way to return to Western Massachusetts and stay here again. My stay was only one night, but it was lovely. The space was clean and peaceful, the breakfast scones were a wonderful treat, and Patricia was a great hostess. I wish I had been able to spend more time there, and I would certainly stay again! Great place to stay with the four-legged family members. Pat, the hostess, is incredible. She made every moment of our stay calm and casual, even when our two bassets didn’t. The studio space is lovely with more then enough room for our family of four and our dogs. If you are looking for somewhere unassuming, well appointed, and in a beautiful wooded setting, this is the place to be. Also, Pat’s fresh morning scones, are to die for. You will not regret your time is this area of Mass., or staying in Cavalier Cottage. We had a wonderful time at Cavalier Cottage. We brought out dog and bird along for the trip and found the studio very relaxing and cozy. The breakfast scones are always something great to look forward to in the morning. Our dog loved walking around the property and meeting Pat’s dogs. Seriously if you are considering this place I can say you will have a lovely time. Everything was lovely. Thanks so much for all. Beautiful B&B suite just off the main route to Berkshires, etc. Ideal for pets. This rental is a large suite, completely separate from the owner’s house. Kitchen, 1/2 bath, dining area, and another long room w/ living room area (TV w/ just about everything on it and WiFi) and the bed at one end. Great lighting with floor to ceiling windows. Rugs everywhere and just about everything you could need to take care of your pet. The patio is available, and that is where you’ll receive excellent scones with jam and butter every morning, and the fridge is already stocked with milk. Bathroom is also stocked. Clean and comfy. Easy to cook there. Owner’s dogs stay in her house and her fenced backyard, and large front yard with great landscaping is available for your pets. Plus, it’s up in the woods and you can walk for miles without seeing cars. Location is quick access to Hwy 2, which takes you to the interstate and all of the nearby amenities. We went hiking at Savoy park and Greylock. Greylock is worth the drive. Also went to a concert at Mass MoCA, which is in nearby North Adams. Owner is very friendly – available if you need her, and lets you be when you don’t need her. We brought our dog who loved being out in the country. Next time we come up, we will definitely want to stay here again. My repeat visit to Cavalier Cottage was even better than before! This is an idyllic country cottage in a lovely setting. There’s plenty to do nearby, and the town of Shelburne Falls is uniquely beautiful and fun to walk. The comfort of the cottage itself adds to the restful experience. The fully-equipped kitchen is a real plus, and the bed is super! Country walks, all the conveniences of home, and those scones! Host Pat is the ideal innkeeper: helpful and gracious, she also respects your privacy. For pet owners and others, this is the place in Western Mass! We really enjoyed our long weekend at the Cavalier Cottage in Charlemont MA. Patricia did everything possible to make our stay delightful and the homemade scones each morning were delicious. Our dog felt right at home too. We can’t wait to go back again! Enjoyed a charming stay. Clean, comfortable accommodations. Nice decor and friendly host. Country setting is peaceful and easy access to nearby attractions.  Kitty was very happy at the cottage. It was wonderful to stay where our dog, Shima, was welcomed and considered an honored guest. There was a bowl for water on the kitchen floor and a cookie jar full of dog biscuits. The cottage had everything we needed for our stay and the location was central to where we needed to go. We will be back. Wonderfully Amazing! It was my husbands birthday and we had a great time at Cavalier Cottage. Patricia is wonderful and made us delicious home made scones every morning with fresh orange juice. The cottage is wonderful and has everything you need. It is clean and tidy, with a kitchen with great appliances, all natural foods and cleaners, all you have to bring is your toothbrush, clothes and food you like to eat. It is located near many amenities, white water rafting, Deerfield river, wonderful restaurant’s, and Bridge of flowers in Shelburne Falls. So many things to do or you can sit back and relax by the river and enjoy quiet peaceful relaxing sounds of creation! I would recommend this wonderful cottage to anyone looking for a great quiet getaway and you can bring your dog! Enjoy! I will tell all my friends. So perfect for us! We searched and searched for a pet friendly place, and although the search is limited, I’m glad this little gem exists. So accommodating and welcoming, it was absolutely perfect! We had a great stay over Easter weekend at Cavalier Cottage. We brought along with us our dog and cat and they loved it too! Pat greeted us as soon as we pulled in the driveway and showed us everything needed for our stay. We were just looking for a little weekend getaway, somewhere to relax, and where we could take our pets, and this place fulfilled that and more! The cottage has everything you could need. The English scones were so delicious each morning and we left craving more! Pat was so nice and friendly. We went during the off season so we mostly stayed at the cottage and relaxed but would love to go back either in the winter or summer to do more in the area. If you are looking for a place where your pets can be as comfortable as you will be, look no further! The room was spacious with an attached kitchen and bathroom. My wife and I are gluten free, and Patricia accommodated us with gluten free bread and cereal. We have a 5 month old who cries a bit at night, but the house is structured so that it didn’t bother anyone to let her cry it out a bit. We loved the theme in the room – primarily white and blue with a variety of very similar busy patterns on many of the objects in the room. Being someone who appreciates geometrical patterns, I had a blast studying each of the different patterns in the room. Overall a great room to rent with an artistic flair. Mellow, very comfortable, very pet friendly which is hard to find. Convenient to all parks in the Mohawk Trail area. I booked a weekend at Cavalier Cottage for my wife, dog and I. It was my wife’s birthday and she wanted to go someplace where we could bring our dog with us. Pat couldn’t have been more welcoming. The cottage was spotless and very comfortable. It was a nice, relaxing place to spend a weekend. For more adventurous souls, it is close to Berkshire East and the Deerfield River. We enjoyed our stay and have already told all of our friends with dogs about it. What can we say, Cavalier Cottage was awesome. We had everything we needed in the studio . Our dog Julia felt right at home. Our only regret is that we did not stay longer. We will know better the next time we go. Pat was warm and helpful when she greeted us. It is in a great location. We enjoyed walking on the country road and enjoying the sounds of nature from babbling brooks to wind whistling through the pines. Would recommend to anyone who loves to travel with the dog. Cavalier Cottage is a great place to stay! Berkshire East is a nice vacation spot and Cavalier Cottage is a great place to stay. The accommodations are set up like an apartment with a living/sleeping area, and fully equipped kitchen and bathroom areas. You’ll have excellent wifi, including Netflix and cable, as well as a delicious daily breakfast of English scones, jam, and juice. We found the cottage remote enough for peace and quiet, but just a few minutes from amenities. We took a day trip to Mt. Snow, which was only about 50 minutes away. In all, we had a great stay! Great getaway with our feline baby! Not many places are pet-friendly, and when they are they are “friendly” only to dogs. Cavalier Cottage welcomed our feline baby and made her feel at home. The cottage is warm, cozy, charming, with all items you could possibly need for a relaxing vacation (full kitchen, extra linens, even books and board-games! The area is lovely and offers so much to do and see. Hope to be back in the summer months! Comfortable and cozy weekend getaway. My husband, friend and I had a great weekend at Cavalier Cottage. We were so glad to find a pet friendly rental that was clean and welcoming. We had an excellent stay and left refreshed and can’t wait to go back again next year. My wife and I stayed at the Cavalier Cottage for a long weekend getaway. It was such a great experience. Patricia greeted us when we arrived. She is lovely, so warm and welcoming. We brought food, which turned out perfectly. We were able to prepare everything using the dishes/cookware provided. We felt right at home in this sweetly decorated cottage. It is so cozy and charming. And the scones in the morning are such a treat!! Yum! Although we would’ve been totally comfortable relaxing inside the whole weekend, we did get out and explore. We hiked about a 2 mile trail in the nearby state park. The ranger there was very friendly and knowledgeable. We also ventured into the nearby town to do some shopping. Everyone we meet was so friendly! We look forward to returning Cavalier Cottage to relax and try out the local zip lining, kayaking, and ski trails. Lots of room, spacious kitchen with everything you need if you want to cook, stay in and enjoy the Berkshires. Spacious and roomy enough for a multi-day visit without feeling confined. Fresh scones and juice delivered every morning, truly excellent. We stayed at Cavalier Cottage in the context of Cider Days. The cottage is within a short drive of all the events, but down a side road off the highway so it’s very quiet. We loved it because it was spotlessly clean, well-managed and spacious. Pat, who runs the cottage, is likable and professional, and she was friendly and warm with our dog. The grounds are nicely landscaped and once again, she keeps them spotless. There is also a forested hill behind where you and your animal can hike, or you can walk down the well-maintained dirt road, where we never saw another car. We always felt our dog was safe and welcome. The cottage itself has a well-appointed kitchen so if you wanted to cook your own food you could, which is a bit of a rarity, and which would make this place a first choice for an extended stay. When we return to Franklin County, there will be no wondering where to stay; it’s a no-brainer. The obvious place to stay will be Cavalier Cottage. A wonderful, peaceful getaway…with dogs! It is so difficult to find a place that not only takes dogs, but to find a place that actually WELCOMES dogs? Well, that’s a rarity. Pat was a superb host, everything we could possibly need was there for us, and she was very respectful of our privacy. The rooms were spacious and clean. Morning scones and juice was wonderful! I loved that we could walk out the door and take a long country walk with our dogs. The surrounding area was quiet and beautiful, a perfect retreat from our normal busy suburban life. Since coming home, I often think about our stay with great fondness. I do not hesitate recommending this rental. I plan to come back again! Your cottage is so lovely and cheerful. I love your blue theme! It is perfectly appointed! (I work at an historic inn – The Claremont Hotel) – so I notice “everything.” Thank you for providing such a nice place for Sarge and I. The Pets of the world thank you. I love the dog poems. We had the best weekend! Pat has made many updates. The area is great to get away to. There is so much (or little) to do.We walked with our dogs in the morning to tire them out and the area is just beautiful. It is a home away from home that we are able to bring our dogs to. We can’t wait to go back! What a perfect place to stay with your pet. Loved the entire experience. Spock (our boxer) loved being with us and was treated like royalty. The cottage was immaculate and everything we needed was there. My brother and sister in law said the queen inflatable bed was so comfortable. Thanks Pat for opening a pet friendly establishment. More people should be like you. My husband and I (and our little dog too) just spent a few days at the Cavalier cottage. The location was beautiful; down a country road surrounded by gorgeous fall foliage in the Berkshires. The cottage was welcoming, with a bedroom/sitting area, and a dine-in kitchen (fully appointed) with a bathroom. The bed was comfy, and the sofa too, and our hostess could not have been more welcoming! She made scones for our breakfast each morning, and her four dogs were very excited to see our Scottish terrier. Being able to travel with our dog is wonderful, and we all had a wonderful time during our stay. Overall we could not be more pleased with our mini-vacation at the Cavalier cottage. Perfect, Cozy Pet Friendly Cottage in Charlemont, MA! Our stay at the Cavalier Cottage Bed and Breakfast was absolutely perfect. No other words to describe it. My husband and I (and our 2 pups) are avid hikers. We traveled from NJ for a long anniversary weekend getaway to hike some of the State parks in the Berkshires. Not only is the cottage spotless, it is by far the nicest cottage we’ve ever stayed in. It is located on a very quiet road, literally in the middle of the woods. Our cell phones had no service (we didn’t mind this at all as we were looking for an escape from the craziness of our busy lives) but Pat provides you with free Wi-Fi just in case you need to get in touch with the outside world. – Pet friendly and no breed restrictions at all. We often find that hotels, cabins or cottages are not willing to accept our 65lb sweet rescue pit bull, let alone not charging us a ridiculous charge for having 2 pups. This was a blessing for us to find not only a cottage that accepts our pups but for them to have free range of the cottage. We were even able to leave them in the cottage while we went for dinner one night which is not allowed in most hotels/cabins/cottages, especially without a crate. – Cleanliness of the entire cottage…and I mean spotless. The decor was perfect and the bathroom was very clean with on hand supplies just in case you forgot something (like I always do). They was plenty of organic shampoo and soaps for us to use. – Access to yard for pups. We had access to the property so the pups could have free range to sniff around and do their business! – Location to several State parks for hiking/adventure and Shelburne Falls. We hiked the Mohawk State Forest (you must get up to Todd Mountain…it is certainly not for casual hikers but it was amazing to be at the top and see the views!) and Savoy State Forest. Both were beautiful hikes during the beginning on peak Fall foliage season. We headed into town (a very short drive) for dinner one night which was very convenient. Shelburne Falls is a cute little town…make sure to check out the Bridge of Flowers. – Quiet. Yes, for us this is a bonus. We live and work in fairly busy areas of New Jersey so for us to be in the middle of the woods was a pleasure. – Free WiFi and Netflix along with regular cable (w/ HBO). This was a nice bonus to have at the end of a very long hiking day. We were able to rent a movie or just browse what was on T.V. – Last but not least, Pat. Pat, the owner of Cavalier Cottage, is wonderful. She has several dogs, all of which are adorable!! She was very kind and welcomed my husband, me and our 2 pups with open arms. Even though she lives in the adjourning cottage with her pups, it was always so quiet. Pat truly made our stay an enjoyable one. Oh and I almost forgot to mention Pat’s delicious English scones and orange juice that she makes/sets out for you every morning for breakfast…these were a treat! Outstanding experience in quiet wooded area – pets welcome! From our welcome to leaving, Pat the owner was great. She was welcoming, The cottage was appointed with ALL the amenities. Every detail down to to a cookie jar filled with treats for the dogs. Pat’s fresh baked scones every morning and the good coffee in the cottage were the perfect way to start our day for our adventures. The quiet wooded setting and being able to walk our dogs on the dirt roads was great. We certainly will be returning in the future. Cozy and comfortable cottage. Stella loved it! We were welcomed by Patricia and from the first moment knew it was the absolute right place for us. We travel with our dog, an integral part of our family. While she could not participate in the wedding festivities we had come in to the area to attend, we were able to leave Stella with the confidence that she was safe, comfortable and would be looked in on, if needed. Our accommodations, attached to Patricia’s own home, were absolutely lovely. It was clean, welcoming and spacious. Stella made herself at home while we were away. The property is beautiful, private and simply one of the best experiences while traveling with our dog. Beautiful sleeping and living area. Fabulous kitchen. Clean. Comfortable. Love the inclusion of dogs and cats. Pat is an extraordinarily hospitable proprietor. Everything was there plus things I couldn’t have thought of beforehand. I’m very particular about cleanliness and was a little apprehensive about how clean and odor-free a pet-friendly place could be. All I can say is that I wish my own home could be as free from shedding fur and other traces from dogs/cats as Pat’s place is. Warm welcoming place for humans and canines! I stayed at Cavalier Cottage as my dog, Mellow, had a hip problem and had an appointment for her at Eddie’s Wheels to be evaluated for a with a mobility device. Pat, the owner, was very generous taking care of Mellow while my friend and I went to the Clark Museum. Pat lives with numerous cats and Cavalier spaniels who she has rescued. The cottage is adjacent to the house. It is well equipped and decorated like a cottage in the south of France… beautiful, comfortable, and airy. We had time limitations but plan to return for a longer visit. My husband, our dog, and I stayed at Cavalier Cottage for the second time, and it was just a lovely as our first visit. Pat’s scones were just as delicious as we remembered them, and she’d made some small but attractive changes. The Cottage is a perfect getaway to western Mass – we went to see the Van Gogh exhibit at the Clark, have a delicious dinner in Shelburne Falls, and then have a relaxing evening and morning breakfast at the Cottage. Pat makes it easy, and we return restored! I booked the cottage for my fiancé and I when we went white water rafting at Zoar. As soon as I inquired about the weekend, Pat quickly responded. As soon as we pulled up to the cottage , we knew it would be a relaxing weekend. The cottage is located in a quiet, wooden area, perfect for taking a nice long walk. Pat was a wonderful host, that gave us our privacy the whole weekend. We loved waking up to warm scones, waiting for us out on the porch. As an added bonus we were able to bring our dog and received a discount at Zoar. We would definitely go back. My husband and I just returned from a wonderful, relaxing mini vacation at Cavalier Cottage. This was our 1st time taking our 3 yr old yellow lab, Bella for an overnite stay. It was perfect!! Quiet, peaceful – yet close to shops and restaurants on the Mohawk Trail. Plenty of room, sparkling clean & everything you need or want. Delightful, we will definitely be back soon. (Owner comment – my landline is always available for guests. Karen unfortunately didn’t hear me mention this offer on arrival being very tired after a long drive)! My husband and I and our dog Finn really enjoyed out short stay and wish that it could have been longer. The warm, homemade warm scones that appeared each morning on the table on the porch were delightful. (So delightful in fact that we began calling it our magic table.) Great area for hiking with many other area attractions. Clean apartment style unit and well stocked with gourmet teas, condiments, jams and breakfast cereals. Just the right combination of respecting our privacy but willing to help with anything that we might need. Hardly any traffic on the road (maybe 1 car in three days of walking the dog) so it was great for that as well. Pat was very inviting and keeps the property very well maintained. The cottage was very clean and spacious and waking up to fresh scones and juice in the morning was a plus. You are close to the areas adventure tours and activities as well as restaurants and shops. If we are ever in that area, Pat will be the first one we call. Thank you for such a great experience. Not only were the grounds very well maintained but Pat was very welcoming and extraordinary. My weekend was filled with tranquility and peace. The cottage is very beautiful and the food was awesome. I recommend this place to anyone who would like to spend a great time. This place is very pet friendly as well and was very enjoyable for our pet. I would like to say that my experience is beyond words and I am truthfully thankful. Thank you, Pat I’ll see you soon. My fiance our new rescue dog and I recently spent a long weekend at cavalier cottage. It was such a relaxing time for us. Very quiet and peaceful. The apt was well stocked and very comfortable. The English scones were delicious. We felt pampered. Our dog nikita was appreciated as well. Patricia is a great hostess. I’m sure we will be returning. Hiking and playing in the river with our two Pups was heaven. Pat was respectful of our space but also SO gracious. Cavalier Cottage is not far from dining and shopping. Between our puppy vacation and ours, a winning combination. Sweet comfortable spot in the trees. So nice to travel with our dog and find a welcoming dog lover for a host. She even provides coffee and tea and organic citrus body wash …and cream for coffee awaits in the fridge. We were probably the worst guests ever bc i messed up my reservation and we locked ourselves out but Pat was very helpful when i realized my scheduling error. My 12 yr old said “this is exactly what i want my apartment to be like when i go to college.” He was excited to sleep on the futon for half the night but in the morning we woke up, all of us plus the dog, in the bed. It was cozy! We thoroughly enjoyed our get-away at the charming Cavalier Cottage. Pet friendly in every sense, dogs have the run of the cottage with no expectation that they be crated. The area is perfect for long country walks. Patricia is a helpful and gracious host providing home made scones and juice each morning. The cottage itself was very comfortable and included a full kitchen, stocked with coffee, tea, and cream. The gardens outside are beautiful. 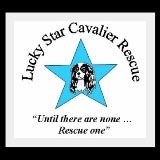 We (my family of 4 humans + 1 cavalier) especially enjoyed meeting Patricia’s five rescue cavaliers, many with special needs. Our beloved dog was in his glory. Cavalier Cottage is conveniently located near the village of Shelburne Falls, with its great art galleries, shops and restaurants. We also enjoyed zip lining and tubing on the Deerfield River…plenty to do. We had the pleasure of staying with at Cavalier Cottage last month and were thrilled with our accommodations and the wonderful care we received for our 2.5yrs old cavapoo, Felix. Our whole family of 6 (2 adults, 3 kids and Felix) stayed in the cottage. We were totally impressed with the breakfast options….homemade scones, orange juice were delivered to us and tons of other foods were in the fridge and cupboards …. we made scrambled eggs and waffles! What a treat. Thank you. After breakfast, we left Felix with Pat for 4 hours+ while we went whitewater rafting. She took wonderful care of him for a small additional fee. What a comfort to know that Felix was well-cared for while we enjoyed our adventure. The cottage is located no more than 5 minutes by car from Crab Apple Whitewater Rafting so it was super convenient to come back and get him when we were done. The Cavalier Cottage is really perfect for a couple or small family getaway. We brought our daschund and were heart-warmed by the doggie treats and baggies left for us to use. Patricia, the hostess, is friendly and knowledgable on the area. She acquainted us with the suite and the area and even introduced us to her dogs–a true angel of the cavalier spaniel rescue. The suite has a blue motif that comes together nicely with blue decorative vases and napkin rings, as well as furniture and wall art. The suite itself is spacious and has a full kitchen. We found the bed very comfortable. There’s tons of natural light and French doors connecting the living room to the kitchen.. It’s tidy and private with plenty of accommodations and conveniences.. We were very pleased and hope to get back in the winter. It’s 10 minutes from everything happening…ZOAR, East Mountain, Shelburne Falls and Glacial potholes, the bridge of flowers and 1/2 hour from the Deerfield butterfly garden. The cottage was the perfect little place for us and our fur babies to stay while visiting Eddie’s Wheels. Great location, so peaceful among the beauty of nature. Very clean, close to town and attractions. Pat is so kind and accommodating. Will definitely return to the cottage for future getaways! This was a fantastic pet friendly accommodation. Our new dog Rusty had a wonderful time with Patricia’s well behaved dogs. Patricia was kind enough to look in on him and helped to ease his separation anxiety when we were out. The spotless and well appointed kitchen and cozy, charming living area truly made this a home away from home. We loved it ! We did have a nice stay. There were a lot of great things about your place with some unexpected bonuses! All in all, it is a lovely cottage and we had a very nice time there. Thank you for your hospitality! I stayed at Cavalier Cottage with my two small dogs for a weekend in June. The rental was beautifully furnished, clean and very comfortable. The area is very quiet and scenic with nice back roads for walking the dogs. The owner, Pat, was very helpful and respectful of privacy, but was happy to chat with me when I offered. Her dogs were well behaved and very endearing! And the delicious, specially made scones and juice every morning were a lovely touch. I highly recommend this B&B! Beautiful setting. Clean, well-kept accommodations. Thank you for your hospitality! Loved the peaceful environment and convenient location to Shelburne Falls and local attractions. Cavalier Cottage is kind of out of the way but the privacy and tranquility was wonderful. We were looking for a place to comfortably leave our pet if we went out to dinner and this spot was great. If you like privacy with a beautiful setting in the forest this is it. The owner offered to check our dog which was so kind. The area has fun out of the way things to see – we especially liked the covered bridges. We very much enjoyed our stay at the Cavalier Cottage recently. The area was quiet and the place was clean. We had everything we needed for accommodations. Having not stayed in a B&B prior to this I wasn’t aware that the owner was present on the property but no matter she gave us complete privacy and was always available if we needed her. We are familiar with the area but discovered some new adventures on this vacation. Our Boston Terrier loved the walks along the trails available. I loved it! Would definitely stay again. Pat is such a friendly hostess, especially to 4 legged guests! While Tim and I enjoyed the peace and quiet, Mac, my 5 year old cocker spaniel had the time of his life! He played well with Avery, Hayley & Figaro, Pat’s cavaliers. Even Mac’s demeanor was SO obviously comfortable in such a serene setting. The fully stocked kitchen was so wonderful for cooking and just hanging out! Just what we all needed to recharge the batteries! We stayed three nights at the cottage and really enjoyed it. It is very well located, on a quiet dead-end road in the country. It felt like a real get away, but was still close to many attractions. We used the cottage as a base to explore the beautiful Mohawk Trail area. The cottage is a remodeled section to the owner’s home, with a big, well stocked kitchen, small but adequate bathroom, and living room/bedroom area. It was the perfect size for two people and we thoroughly enjoyed lounging around the cottage enjoying coffee and breakfast, doing puzzles and relaxing. The owner Pat was a wonderful host and dog lover who was often at home (with her three dogs) and eager to help. Highlights from the trip included great hikes to Mt. Todd at Mohawk State Park and Chapel Brook in Ashfield. We also enjoyed the nearby town of Shelburne Falls and had a fun meal at the West End Pub- great food and atmosphere, particularly at the bar! We would definitely go back to Cavalier Cottage! A wonderful experience: starry nights, peaceful days, and fine hospitality, with easy access to Berkshire attractions. We shall return! We very much enjoyed our stay at the Cavalier Cottage. We chose the place primarily because it was pet friendly. It was very charming and close to Berkshire East and the local small towns. Pat was a delightful woman who made us feel at home. She even took care of my dogs while we skied for the day!! She clearly cares about her “four-legged” guests as well!!! Also, her home made scones were outstanding!!! We are looking forward to visiting again soon!! Hi Patricia! I just wanted to thank you again for the beautiful accommodations for our family of four plus Betty, the goldendoodle! We very much enjoyed our stay, as well as the scones, decor, and hospitality during our stay at your cottage! We were very pleased with the cozy ambiance, fun games, warm scones, and ever-presence of our hostess (YOU!) whenever it was needed! I really felt as though our family was your family during our visit and we will be sure to visit again! My wife and I were very happy with our decision to spend our three day snowshoeing vacation at the Cavalier Cottage. After being out in sub-freezing weather for each of the three days were there, we looked forward to returning to the comfort of the Cottage. We will likely try to return again in the late fall or next winter. The area around Charlemont is fill with natural beauty that yearns to be explored. Ms. Butterfield is a very hospitable and friendly host. The Cavalier Cottage is a lovely place, set just near local attractions, yet secluded and tranquil. The cottage interior is beautifully furnished, spotless and spacious. There were three of us, so we used the roll out futons, and everyone was quite comfortable. We had skied all day, and although outdoors the wind was howling, and the thermometer was six degrees, we were warm and cozy as we settled down to dinner we had prepared in the well equipped kitchen. The cottage suited our needs very well. We hope to return in the summer when the gardens are blooming…a very nice place. We had a great time at your cottage. No worries about the leak; this winter has been tough on most people’s roofs it seems. Thank you for getting the leak taken care of so promptly. The cottage is cozy and beautifully decorated. We really enjoyed our stay. We give Pat Butterfield and the Cavalier Cottage a big thumbs-up! Our schedule was a bit quirky and Pat was super accommodating. The cottage is set in a quiet wooded area. It is large and easily fit our family of four (one member being our chocolate Labrador retriever). We visited in February as part of a ski vacation but no doubt the Cavalier Cottage would be a lovely place to stay at any time of year. Thanks Pat! Sean and I would like to extend our thanks to you for your wonderful home, hospitality, and delicious scones! We really had a fantastic relaxing time. We will look at our calendars and see what works for the spring, and contact you to see if it is available. Thank you again for being such a great host and welcoming us into your home. We will be in touch. My wife and I spent the past weekend at the Cavalier Cottage and we could not have been happier. Pat was extremely warm and welcoming and even checked in on our little puppy while we were out snowboarding. The studio was perfect and had everything we needed to enjoy the weekend and the fresh made scones and fresh squeezed orange juice in the mornings were a great bonus. If you are traveling to the Charlemont area I highly recommend staying here, especially if you are traveling with your dog. You won’t be disappointed and if we travel there again we will definitely be booking with Pat again! After a full and tiring day of location scouting in the frigid climate of the Berkshires, this rental was just the thing we needed. A home away from home, we took no time at all cozying up inside. And being able to find a place to bring our dog is usually a nuisance at the very least, so not having to board the li’l guy was an unexpected bonus. Pat was wonderful and very hospitable. We awoke the next morning to find a basket of freshly baked scones and fresh orange juice. This place was a perfect find and we will certainly be back again. Thanks Pat! Thank you so much for sharing your lovely home with us. We thoroughly enjoyed our stay and loved that we were able to bring Max and Jade with us! The breakfast scones and juice were a welcomed morning treat and the peaceful surroundings have left us feeling well rested. We will absolutely recommend Cavalier Cottage to our friends. My mother, my dog and I spent the weekend following Christmas at the Cavalier Cottage. We all had an amazing time. The B&B is located close to a few state parks, hiking, and a cute downtown shopping area, yet tucked away enough to be a tranquil, relaxing experience in and of itself. The location was ideal for us and our host was amazing! Indigo and Dixie-Belle Give Cavalier Cottage 8 paws up! Cavalier Cottage is a gem for people and dogs. My family and I were impressed by the amount of detail put into it—- it had everything you can think of- gourmet tea and coffees, organic shampoo and conditioner, family games, CD’s, excellent books about pets, heater in the bathroom, scones and orange juice in the morning, and the place was impeccably clean. We thoroughly enjoyed our stay and highly recommend the place if you have pets since Patricia does not charge for having your pet there, she clearly loves animals. Oh yes, the place also had pet bowls! Also, the area her cottage is located is so peaceful and beautiful. Can’t say good things about this beautiful haven…. We spent a relaxing 3 days at the clean, bright Cavalier Cottage. Pat is the perfect host providing us with warm scones and orange juice every morning. We and our 2 dogs were welcomed with open arms. It’s a nice quiet studio well furnished with everything you need. All three of us (husband, dog, and I) had a wonderful time at Cavalier Cottage. It couldn’t have been better – the cottage was neat as a pin and comfy as could be. Pat made us and our dog, Ivy, feel more than welcome, and we all enjoyed the beautiful walks nearby and in the area. The scones were delicious, and we’d all come back in a heartbeat. Thank you, Pat, for giving us a perfect getaway! We were very happy at this getaway. Our dogs were treated with enthusiasm and wanted for nothing. The kitchen fully equipped and the owner was lovely. Patricia Butterfield is the owner of the most pet friendly bed & breakfast anywhere in New England. There are no – I repeat no – restrictions that apply to the fur-children that pet lovers consider to be family members, and want them to enjoy their vacation stay at Patricia’s bed & breakfast as much as we humans do. We arrived with our 2 Scottish Terriers (Murphy and Alexander). They had a wonderful stay at Patricia’s cottage. The long walks through the surrounding Charlemont hills were just what the doctor ordered. We live in Boston, so the hills, streams, deer and rabbits provided our entire family a stress free stay. The cottage is also just a few minutes from the town of Shelburne Falls which is filled with unique craft and book shops, as well as choice restaurants. The town is a almost like walking through an 18th century village. Our entire experience was truly a unique experience, and the warm scones and orange juice that Patricia serves at 8:00 AM each morning just added to the warm welcome we and our pets received. We recommend Patricia’s Cavaiier Cottage as the best pet friendly destination in the New England area, and we plan on returning again. Cavalier Cottage is awesome! My husband & I stayed at CC labor day weekend with our two rescue dogs. We ALL loved it! Pat is a great hostess – she makes a mean scone! The cottage itself was perfect for us, and I loved all the little details- the books in the kitchen, the king Charles cavalier paintings, etc. Its was only a short drive to the lovely Shelburne Falls village, and about 10 minutes from Berkshire East Canopy Tours where we went zip lining. All in all a great weekend. We will definitely be back! This cottage is a real find. We had originally planned to camp at a near-by location but unforeseen circumstances drew us to meet Pat and spend a night at Cavalier Cottage. I was amazed! Pat is meticulous and carefully launders every blanket and towel. The kitchen is great too with a spacious full size refrigerator and everything else one would need. But what got me even more was the surroundings. It’s located on a very lightly traveled road which provides for a lovely walk with an accessible stream for any water-loving dog like mine. What a blessing. We scour the country for pet-friendly lodging, and Cavalier Cottage is truly FRIENDLY. Yes, our three 50-pound dogs were welcome. Yes, she had blankets to cover the bed and couch. Yes, she had a jar of dog cookies. And a nice country road to walk down. The living/bedroom and large kitchen were super clean and inviting. The large kitchen was well equipped. The queen bed was very comfortable. The shower was a bit cozy. And the breakfast scones were OK but the same each of the four days we were there. We got groceries from an excellent organic grocery that Patricia told us about. And we enjoyed walking around Shelburne Falls. There was some very good hiking on the Mohawk Trail Park, which is nearby. We could have found enough to do to stay a week. Cavalier Cottage was the farthest stop on our tour from Texas, and it was a lovely break before we headed home. There aren’t many places out there — anywhere — that are as welcoming to pets. We really appreciate Patricia’s mission to provide a retreat for dogs and their people. Thank you Patricia. Though too short, we did have a lovely stay in your Cavalier Cottage. Delighted by your attention to every detail and all so aesthetically pleasing to our senses. Hope to come back soon. Great scones too! A great place for people and pets! I have always loved Emily Dickinson and wanted to visit her home in Amherst, but my pets made making that trip a little more complicated; however, I was lucky enough to find Patricia’s Cavalier Cottage where my pets were welcomed with open arms. Patricia was there to welcome us and tell us about the property as soon as we arrived. Patricia gave my dog Barley pats and attention from the second Barley hopped out of the car and was more than happy to let my cat accompany us; the floor-to-ceiling windows in the front of the cottage made my cat feel at home immediately since he could watch birds and a few cars coming and going. The cottage is small, but it never felt small for one person and two pets. The road where the cottage is located is beautiful–quiet and shady with stone walls and barns alongside. There are also many parks nearby where dogs can be walked and Patricia has a basket of brochures and other information about the area in the cottage. Patricia provided warm scones every morning that were perfect on the chilly mornings we started our days with. The full kitchen was huge with plenty of room and equipment for cooking full meals. Before I left, Patricia brought over some Emily Dickinson DVDs that she had and told me that I could have them; what a thoughtful, caring host! Pet friendly – Once again, this cottage was truly pet friendly. We had stayed at several other B&B’s or Inns, even though they had advertised pet friendly, they had usually been for the pet (1) physically separated and isolated pet barns or (2) unable to leave the pet alone in the room or (3) able to leave the pet in the room only if the pet would be placed in a crate. There were no such restrictions at this cottage. Even optional service was offered to walk my dogs. Fully equipped full size kitchen – We had food allergies, which required a very strict diet. The full size kitchen allowed us to buy seasonal variety of vegetables from the local farms and prepared meals ourselves. It also helped our dogs that they have raw food diet and love vegetables and fruits. Over all – The cottage was not just pet friendly, but was environmentally friendly place as well. For instance, the dish liquid and the hand soaps are all natural products. The cottage is in the middle of nature and no artificial noise annoyed us at all throughout our stay and we truly enjoyed the sound of silence. (And no smells of cigarettes!!) We also found a spot we could watch the full of stars and the Milky Way with 360 degrees sights with no obstruction not far from the cottage. It totally makes sense that this cottage has been awarded the five stars pet friendly cottage last year. Thank you very much Patricia for sharing your property for us. We highly recommend this cottage for all pet lovers. We would love to come back there in winter for snow shoeing next time! The perfect place for my husband, myself and our golden retriever Sadie. We spent two weeks at Cavalier Cottage in July and used it as a jump-off point to explore western Mass. The cottage was decorated beautifully and equipped with every possible tool or convenience one could think of as well as fresh flowers and wonderful warm scones every AM for breakfast. The property and surrounding area are lovely and the many attractions are easy to reach. Some that we enjoyed were: the Pioneer Valley and historic Deerfield, Northampton and Amherst, Williamstown, The Clarke Museum, Williams College Museum and other Berkshire County attractions. The owner Pat was very friendly and loved our dog. We hope to return again next summer. If you are a truly animal lover/rescuer, don’t miss it! Me and my husband and our 2 small doggies had a wonderful 3 day family trip in Cavalier Cottage. Cavalier Cottage is very spacious and bright, we’ve enjoyed every moment we’ve spent there! The most beautiful thing is – Patricia a loving, caring host with beautiful mind, she treats animals as real family, all her babies were rescued! It was good to talk to her and feel how much she cares about the animals! This cottage is just like heaven to us, so sweet and quiet. Wish we could stay longer and we will definitely go back one day! Dear Pat, Thanks for everything, hope we can see you again soon! A warm welcome awaits everyone here at this peaceful cottage. Pat welcomes you and your four legged friends and is eager to do anything to make your stay here as comfortable as possible. Her freshly baked scones for breakfast are simply delicious. Thankfully there are plenty of places to hike, walk or take a quiet stroll to burn them off nearby. We look forward to a return visit. We had to attend a wedding in the area and found this gem of a place. Pat was very inviting and the cottage was wonderful, spacious and clean. The fact that our dog was allowed made it even better. Pat was wonderful with our dog and even made us homemade English scones which were to die for! We will definitely be going back. The area was very peaceful and the town was warm and cozy. We will recommend this cottage for everyone! Great pet & kid friendly quiet country cottage! My husband & 3 children stayed the weekend in the cottage. We could cook in the well equipped kitchen & eat out on the porch. Very comfortable & homey. We would definitely stay here again! Great, relaxing getaway…Our host was very accommodating. We liked that the location was right off the Mohawk Trail, convenient to the state forest, historic Deerfield, Shelburne Falls, etc. We did not bring pets so could not comment on that aspect of the cottage. Her dogs and cats seemed very sweet as they kept an eye on us while we sat out on the porch. I would definitely recommend this lodging to my pet-owner friends. This is a one-room (which is really more of a studio apartment complete with eat-in kitchen bed & breakfast, which means the service is excellent and the stay very peaceful. It is about a mile north of Route 2 up in the woods. Breakfast is basic, home-made scones and juice, but with a full kitchen you can make what you like. The apartment is very clean and comfortable, and the owner really nice. Comfortable, Pet-Friendly Rental with a Warm and Welcoming Host! We really enjoyed our time at the Cavalier Cottage. Patricia is a kind, welcoming host whose love of animals and dogs in particular is inspiring and heart-warming. She said that she wanted to be sure that we had everything we needed during our stay, and it was obvious that she really meant it and cares for her guests. The cottage is in a great location – off the beaten path, but very close to Shelburne Falls, Montague and other local towns. It is a comfortable, colorful space with a great kitchen and high quality natural cleaning products and soaps. Many rentals skimp on these amenities, so it was a pleasure to find that this one did not. Patricia’s scones were outstanding. We never travel without our beloved dogs, and it was a pleasure to find a host who not only tolerated them, but embraced them! very cute and private area. perfect for a couple with a dog. owner was very pleasant and welcoming. the only reason I did not give it 5 stars is due to the road. it gets extremely muddy, especially after the tough winter. we do plan on going back! Pat’s welcome was warm and informative. Her dedication to dogs is laudable as is her understanding of the importance (for dogs and their owners) to share life events. We spent a couple of nights at Cavalier Cottage in early March. The snow was still deep, but the warmth of the cottage and Patricia Butterfield’s hospitality thawed the cold nights. Cavalier Cottage is a bargain for what it offers. The home is clean, comfortable, and well-stocked with everything we needed to start a meal. Patricia serves home-baked scones and juice every morning. The cottage is remote enough to enjoy the silence but close enough to lovely Berkshire hamlets to interest those looking for an antique bargain. Cavalier Cottage is the first absolutely pet-friendly home we’ve found. We had to cut our visit short, but we promised ourselves to return soon. My boyfriend & I loved staying here! We did not bring a pet with us, but the cottage is definitely very pet friendly. Pat has obviously put a ton of care into decorating the place and making it very comfortable, and it really shows! It was very cold on the weekend we spent here, so the fact that Pat provided a space heater was perfect – I’m always cold so it was definitely needed! We also enjoyed the stocked kitchen, as we prefer to cook for ourselves and we had all of the things needed to do so! The location of the cottage is also great. It’s right off a main road, so when we were driving at night we didn’t have any trouble navigating back to the cottage. It is also just a short drive to Greenfield or Shelburne Falls, two adorable towns that we loved exploring. I would definitely recommend the Cavalier Cottage to anyone looking to stay in the area, whether they bring pets or not! Oh, and I can’t believe I wrote this much without yet mentioning the homemade scones! They were fantastic, just like everything else about our stay. Thanks for everything Pat! What a pleasant surprise to arrive at the cottage after a long day & be greeted so warmly by Patricia!! Walking into the cottage we immediately felt the warmth of our surroundings & felt at home , The rooms were spacious ( great for our Bernese Mt dog Jackson) who was able to at last have his own space while leaving tons of room for us !! ( that never happens when we go away !!) The cottage was decorated beautifully & comfortably throughout and the kitchen was a dream overstocked with food and supplies :dishes, pans, utensils ,crock pot,coffemaker etc The morning arrival of Patricia’s delicious scones & Oj were a terific way to kickstart the day !! Patricia’s knowledge of the area was so helpful and she pointed us to great restaurants & attractions!It was nice to be able to walk right out the door & go for a leisurely stroll down the rural dirt road through the woods enjoying the beauty & solitude of the area !! Wish we could have stayed longer !! Would definitely recommend this to anyone with/without pets as a great escape destination. We will definitely return !! Unpretentious, private getaway that delivered on what it promised. What it lacked in luxury was made up in charm and taste. Cottage was clean, roomy, cozy, with just the right amenities. Hostess was kind, courteous, and accepting of even the two legged guests. Quaint, warm and perfect accommodations for our family of 5 and our 2 year old boxer mix! Had a wonderful time snowshoeing in nearby Hawley, MA, while also enjoying the opportunity to cook for our family. Such a beautiful home away from home to breathe deeply and relax! The scones were a special treat each morning! I absolutely would love to stay here again in the spring…. Thanks for a wonderful experience! Cavalier Cottage is pleasant and well appointed; Patricia is a terrific hostess. I came up to the Berkshires to attend an event hosted by Williams College and really enjoyed the opportunity to explore the area. Both my Old English bulldog Jude and I were very comfortable here, and I would definitely stay here again if in the area. We would like to thank Patricia for her hospitality amid a major snow storm during our stay. The ‘Cottage’ was more then comfortable for my husband, myself & our two dogs*. The ceiling to floor windows allowed us to watch the snowfall as we all were cozy & warm inside. The full kitchen was great for preparing meals & there was even dog bowls provided. Patricia’s fresh baked scones & orange juice every morning was a wonderful way to start the day. We even had garage space to park during the inclement weather. I highly recommend Cavalier Cottage & already have to friends. *Jack & Addy, who came to pick-up her new custom made wheel chair from Eddie’s Wheels. Wonderful B&B! Cozy suite that comes fully equipped! The scones are wonderful too! We were looking for a get away week-end to celebrate my daughter Sarah’s 20th birthday – with just one catch: she wanted to bring her standard poodles, Ellie and Jude along. Could we find such a place…..did we really have to bring the dogs…. how could we relax …..? Well my daughter’s birthday wish came true at the Cavalier Inn beyond our expectations. Our gracious hostess made us feel right at home from the minute we arrived with her tips about local sight seeing, activities and home made scones with juice for breakfast! The cozy, inviting studio apartment is now forever burned in Sarah’s memory as the prototype for her first apartment away from home. All the amenities you could imagine, beautifully decorated with the most comfortable queen size bed ever! They say there is no bed like home – not true – best night sleep ever! The beautiful setting right out the front door made walking easy with no time lost driving to some far away trail. We were moved by the visit to Eddie’s Wheels where dogs are rehabilitated to their best functional levels through customized wheelchairs and specialized hands on therapies.The Outposts along the Mohawk Trail gave us plenty of souvenirs to gather and the shopping in near by Greenfield was perfect for all our needs. In summary, we did find the place for Sarah’s birthday wish to come true. We all relaxed together in a way we never thought possible and cannot wait for our next trip to the Cavalier Inn! We had a wonderful time at the Cavalier cottage. It was very cozy and exceeded our expectations. We spent a day skiing at Berkshire East which is great and very close to the cottage. We did not have any pets with us but the cottage is completely pet-friendly and it’s clear that the majority of guests have been pet owners. We definitely would love to come back and spend another weekend in the cottage! This is the our second stay at the cottage and both times were amazing. The location, price and quality can not be beat for the Berkshire East / Greenfield area. It felt like a home away from home and we loved being able to bring our dog with us for the holidays. We plan to return every year! We stayed here over four nights with our 18 month old Golden Retriever while enjoying all of the Franklin County Cider Days events. The cottage was clean, warm during the storm, and fully equipped with all we needed in the kitchen. Patricia was an exceptional host, providing cheerful answers to all our questions and then leaving us with plenty of personal time. We knew she would be available at any time if we needed her. The cottage is extremely well set up for comfort. It is marvelous to be able to bring our dog where he is sincerely welcomed. I was faced with the situation in which I had to find extended stay accommodations(five-to-six months)for myself and my four dogs while on a temporary employment assignment in southern Vermont. Needless to say, that was a challenge at best. I was referred to the ‘Cavalier Cottage’, and being an animal lover herself, Ms. Butterfield graciously offered her beautiful property to me and “my family”, even going so far as to treat my dogs as her own. I highly recommend the ‘Cavalier Cottage’ for its’ “pet-friendy” accomodations, hospitality, peace-and-quiet and tranquility, for those traveling in the area. Genuinely 5 star experience for pet owners, so rare. This cottage is large and very pretty, with everything you could want and more. Delicious warm English scones delivered to your door every morning, to go with cereals and juices left in the kitchen for you. The road is a sheer delight – forget traffic noise completely, you are deep in the woods with lovely walking. All the glories of the Mohawk Trail are close by, and the Deerfield River is beautiful too. We ate well at The Village Restaurant and The Bridge Pub in nearby Shelburne Falls. Pat is so helpful and you are made totally welcome. Patricia spoiled us with morning scones and orange juice. We can tell she is an animal lover and we support business that care about animals. The stay was comfy, cozy and most of all quiet;) the area is beautiful and we can’t wait to come back next year. What a treasure this place is. Thank you Pat for a wonderful time… If you make it to california, we would love to show you around. We made it home safe and wish we could return. It’s hard to go back to the everyday grind after such a good week away. We already miss your scones. Dotti, the black pup, and Ginger, the dachshund, both miss their daily walks on your peaceful street as well as all the state parks. Dotti appreciates your taking care of them the day we were away and says she is sorry for escaping to the ditch. They loved all the treats as well. The moms thank you too. Patricia is a great host. She spoiled us every morning with her scones and fresh squeezed orange juice. Cavalier Cottage is a little peaceful haven. As two city folks used to the hustle and bustle of the city, we found ourselves sleeping in and enjoying the tranquility. Our two frenchies (bulldogs) were allowed to run freely around the cottage and the deck area. The cottage had all the amenities (pots, pans, etc.) we needed, in order to prepare home cooked meals. The cottage was very clean and had a very airy feel to it. Our only pet peeve was the bathroom. It was too small for our taste and at times felt a bit too claustrophobic but overall, our stay was well worth it and we would not let that keep us away in the future. Lovely cottage which is fully stocked and very well maintained. Patricia is an animal loving person with a big heart and is very helpful. Hope to be back to visit soon! Thanks for a memorable time! We had an amazing time staying at Patricia’s cottage! The apartment is beautifully decorated and so cozy, located up a beautiful woodsy hill. Patricia made us feel right at home and couldn’t have been more lovely or welcoming. Highly recommended! We stayed for three nights with our Westie. It was perfect. Since there is only one unit, we didn’t have to worry about other guests (other dogs). The room was plenty spacious for us to spread out with a large floor-to-ceiling windows. There was a table and chairs on the porch where we could enjoy sitting with wine & cheese, looking out the flowers in the garden, with no traffic at all. The kitchen was well equipped to prepare meals. Milk, Half&Half;, and condiments such as butter and jam were provided in the fridge, and there were boxes of different cereals. She brought us a tray of warm biscuits and orange juice each morning. Each day we ventured out on the Mohawk Trail to state forests to walk with the dog, or to adjacent towns such as Shelburne Falls, North Adams, and Williamstown which were all very charming. Overall, very pleasant experience. Our pups Daisy and Duke had a fantastic first vacation! The space was comfortable (our dogs are 70lbs and 55lbs), clean and easily accessible to hiking trails, the river and the cute town of Shelburne. (Mo’s Fudge is awesome!) We enjoyed Mohawk Trail State Forrest along with other trails along the river. The road the cottage is located on was perfect for walks and the yard is a good size, though we chose not to use it. We sat on the front gated patio and had our cocktails after hours of hiking and swimming in the river. Patricia was a gracious hostess, let us do our thing, yet if we needed her she was available. There are cats in her residence (sits in the window!) so if your pup is not used to cats and you want to use the porch, let Patricia know and she will keep them out of sight. We look forward to another weekend at Cavalier Cottage! Patricia was an absolutely gracious host and went above and beyond in caring for our needs. She has 5 rescue dogs and 2 cats herself and is very tuned into the needs of dogs. She even looked in on our pets so that we could explore the area alone for a few hours. It can be quite difficult to see sites like museums, shop, or eat out with 2 dogs. The place was nicely decorated in blue with colorful pottery and even bouquets of flowers. When she saw that I moved a lamp to the kitchen table, she went out and painted a light to go in that room. She was updating rugs as we left. the kitchen and bedroom/living room are a comfortable size and attractive. Would have like a roomier bathroom. Scones and freshly squeezed o.j. was a nice touch. Our negative comment is no reflection on Patricia – our Verizon phones would not work at the cottage or only sporadically in the area – I would definitely bring a good road map and alert loved ones that we would be inaccessible for awhile. Comment from the Cottage: My land line is always available for guests and cell phones do function sometimes by just going on the cottage driveway but certainly as one heads back to Rt. 2 and beyond. We had a fantastic stay in Shelburne Falls. Pat was very accommodating and a great host! Her love for animals made it very comfortable. We really enjoyed our stay, your cottage is clean, lovely and worked perfectly for us and Molly. We had everything we needed to have a lovely time. Highly recommended! Thank you again. Great B&B on a quiet country road! Everything was great. the full kitchen was much better than the “kitchens” in the last 2 cottages we stayed at. The bed could have been a little firmer. we had WiFi, but no cell service-unavoidable because we were out in the country. it was very quiet and relaxing, and very clean. the owner thought of extras like all the kitchen stuff and very nice decorations, including fresh flowers. Being able to see the stars and hear the crickets was wonderful. I got to see a shooting star! As someone who was raised in the area it was nice to book a trip and enjoy Western Mass as a tourist for the first time. I found Cavalier Cottage after a quick search on Google for dog friendly accommodations. Unfortunately for us, Cavalier Cottage has a two night minimum policy. After some schedule reshuffling, we were able to take an extra day off for the trip naturally Cavalier Cottage was our first call! Patricia is a pleasant hostess who knows the balance of being helpful and accommodating while keeping her distance to allow of maximum privacy. The Cottage itself is a 2 room studio apartment separated by french doors with a full kitchen, small bathroom and living room/bedroom. It is beautifully decorated and welcoming. We brought our dog, Rok, who enjoyed the freedom to roam the yard and walks along the dirt road. However, keep in mind if you have an unruly pup, the yard is not fenced in. A huge plus for us was the ability to leave our furry pal behind at the cottage while we embarked on human-only adventures (Zoar Outdoor is about 10 minutes further up the trail and you get a discount if you stay at Cavalier Cottage). The cottage is about 1/2 mile off of the Mohawk trail (if not more)which allows for breathing room from you and civilization; however, this also means that in the cottage itself there is no cell phone reception.We found it freeing, but if you are someone who can’t breathe without your phone, this might be a struggle. Patricia does offer use of her Land line should you need it and wifi is available if you brought your laptop. Shelburne falls is only about 5 miles away and Greenfield is about 15 miles away should you feel the need for a trip to the grocery store, pharmacy, a movie or dining out. Patricia provides fresh squeezed orange juice and scones for breakfast which you can enjoy on the porch overlooking the yard. We would book again for the scones alone! Our experience was so great we’ve decided to make this a yearly trip! A great spot!! Very clean and on a very quiet road. Beautiful area. A lot of space in the kitchen and well stocked with everything you need to make a meal .Patricia is very welcoming and will help you with all your needs. It was great to be able to bring our dog. Decorated in a very pretty manner. What a beautiful setting for dogs and humans too! Lolo the dog and I stayed for a week in Pat’s lovely cottage. The morning scones were delicious and we really loved walking the country roads pasted farms and meadows. The accommodations were clean and cutely decorated and included air conditioning, a fully equipped kitchen and cable TV. We wanted to stay longer. This place is a great value and such a beautiful location! We were happily tucked away in the forest for 6 lazy days. We felt very pampered having a tray of breakfast set out for us every morning. The cottage space was cozy and had a well stocked kitchen. We had no complaints whatsoever and will highly recommend this retreat to family and friends. Lovely accommodations. Beautiful setting. Babbling brooks along our morning walks with Sheppie, Spiking lupine’s out the window, and those morning scones-to die for. Cavalier Cottage is a one unit B & B where pets are as welcome as people. Pat, the owner, has thought of everything to make your stay as pleasant as possible. The decor is charming and it is so well stocked with necessities and special extra touches that you’d expect to find at a five star hotel that you will need nothing more. It is just off busy Rte. 2 on a very quiet country road in rural northwestern Massachusetts. I can’t say enough nice things about this place. My boyfriend, our dog, and I spent 3 nights at this clean, beautiful little cottage that’s down a road surrounded by trees and fresh air. Water rafting and zip lining right down the road. Perfect for a couple and their dog to get away from a busy life for a few days. We’re city people so we appreciated the farms nearby and the scenery. Every morning fresh scones would be made for us which we enjoyed for breakfast with butter or jelly. Wifi, internet access, 2 hrs from Boston. I played fetch with my dog outside with butterflies flying around. Perfect place for a weekend getaway. We have stayed at many B&B;’s over the years and I think that Patricia Butterfield was the most welcoming, thoughtful and helpful owners we have met. The cottage itself is tastefully decorated in restful shades of blue. Incredibly clean. The kitchen not only had everything one might need to prepare a gourmet meal; but was also stocked with (fresh) milk, coffee, condiments, cereal etc. etc. the dishes, pots , oven , toaster and microwave were clean and ready for use. That made us feel comfortable from the start. The garden outside is beautifully cared for and Patricia always took the time to stop what she was doing outside to inquire how our day was. The house is on a quiet country road. There are beautiful walks in both directions- meadows, woods, streams along the way. Walk into town in an hour if you want to. She seemed genuinely pleased that we were enjoying our stay in the Charlemont/Shelburne Falls area. There was a movie been filmed in town and we got updates when the town had quieted down after a shoot in case we needed to drive in.Very thoughtful. She was a treasure trove of information about local artisans, restaurants and more. We ended up meeting through her recommendation a local artist and got to visit his home studio. one of his pieces will now have a place of honour in our garden at home. Oh yes. Our four legged co-traveller was made to feel as welcome as we were. It is not that easy to find a pet(cat) friendly hostess and for the place to be spotless was a plus. WiFi was a plus. Given the spotty cell phone reception in the cottage and driveway – Patricia was exceptionally accommodating in letting us use her phone when we needed. I never was made to feel like I was imposing. All in all we were extremely pleased with our entire experience at Cavalier Cottage. We certainly chose the perfect place for our weekend getaway. We usually take our dog with us when we travel and this cottage was wonderful and certainly pet friendly. The cottage was charming and a perfect area for walking, plus only short distances to other towns. Patricia would greet us each morning with delicious scones and was helpful with providing information. Hopefully we will return for another wonderful visit. My husband and I enjoyed our stay at Cavalier Cottage very much. Our trip was to celebrate our first wedding anniversary and all we wanted was to relax. Patricia was very nice and it was nice she brought us scones and juice every morning. She made sure we were all taken care of without interrupting our privacy. The cottage itself was cute, clean, and comfy and our dogs loved it as well. It was quite and peaceful for sure. I would highly recommend renting the cottage. We even had the comforts of home with sat. Tv and wi-fi. The location was centrally located for day trips and the owner was very welcoming and helpful with directions etc. I would certainly stay here again. This was our first trip with our Golden puppies, Ben and Tucker. They went on their first long car ride (2 hours) and slept somewhere other than their crates at home. It was a wonderful thing to have a place where the two five month olds could run around freely. Thank you for creating it, Patricia! They adapted to the new space and were happy and funny and at ease. So…we were, too. The view from the apartment – green and leafy – and the sound of birds in the morning was a welcome sight. The best news? “Da Boyz” slept in until 7 a.m.! We took a Friday off to make a nice long weekend, staying over Friday and Saturday nights. We really enjoyed our stay. The cottage is beautiful and in a convenient location… we loved the area!! We definitely plan on returning. The best part of course was being able to take my dog Rollie along with us! Much more spacious than a hotel room, the cottage is neat and tidy with a full kitchen and big, bright windows in the living/sleeping space. The blue and yellow color-combo of the decor is cheerful and relaxing. Pat is a great hostess, welcoming us on arrival and giving us a quick rundown of the cottage, and bringing tasty scones for breakfast in the morning. Close to the quaint town of Shelburne Falls, Berkshire East Ski area, and Zoar Outdoor adventures, there’s plenty to do in the area year round. During our stay, we had very nice, affordable meals at some local restaurants and we went bowling at a great little Candlepin place in Shelburne Falls. We also took a long hike to view some waterfalls in the Savoy State Forest, and drove to nearby North Adams to view the Natural Bridge State Park. The Mohawk Trail (route 2) is not for the faint of heart–it is a crazy, twisty, hilly mountain road–but the views are great. Cavalier Cottage was a wonderful launch pad for all these adventures. My husband and I have had a hard time getting away since we rescued our dog, Amelia. Like many rescue dogs, she has some emotional problems, so we prefer not to kennel her and we can’t even leave her with friends. When traveling with her, we’ve found typical pet-friendly hotels to be challenging, as there are often many guests with dogs, and she is very afraid of other dogs. As such, Cavalier Cottage we a perfect spot for us! We will definitely visit again. We, our one-year-old daughter, and our two dogs needed a place to stay for a few days while moving locally from one house to another. It ended up being a mini-vacation, as the location was wonderful and we had never spent any time in Shelburne Falls. Patricia was gracious and accommodating, and I highly recommend this lovely little spot for anyone, four-legged or not. Wonderful to stay at a pet friendly (and not merely pet tolerant) place! There was even a jar of dog cookies on the counter, waiting for our pets! Cavalier Cottage is a cozy little cabin nestled in a tranquil forest and well removed from the noisy highway. It was very refreshing to have a kitchen available so that we avoided the expense of having to eat out for every meal! It’s also close enough to Shelburne Falls and Greenfield, both of which have good dining options. There were many hiking/snowshoeing opportunities within a very short drive and even the walk just around Oxbow Road was very pretty. Pat was very friendly and welcoming and it was a very relaxing trip! We are so grateful to have found Cavalier Cottage. Everything about our stay exceeded our expectations. The cottage is adorable, comfortable and extra clean. Pat was a wonderful host, ensuring that our 2 dogs were comfortable and happy. Everything you would need for a 2 or 3 day retreat is at your fingertips. With a prime location, you have local eateries, markets, galleries and natural resources in every direction. Cavalier Cottage met all of our criteria for what we were looking for. We are excited to plan another trip in September! We noticed and appreciated how clean the cottage is – you would never know that pets were here. There is no “chemical” small that covered anything up! Thank you to Pat for being so flexible with our arrival day due to the snowstorm we got the day of our trip! Thank you Pat, we are so happy! The cottage exceeded our expectations on all fronts. Beautifully appointed, extremely clean and very comfortable. Pat the owner was very welcoming and the doggies could not have been more comfortable. We highly recommend Cavalier Cottage for a quiet stay near Shelburne Falls. The cottage was spotless, comfy and very cozy. Pat was most welcoming and her scones in the morning were so tasty. Felt like being at home. My sister and I and our two dogs had a wonderful time at Cavalier Cottage! The location is perfect, close to a sweet town, Shelburne Falls, close to North Adams, for a visit to Mass MoCa, and also near great hiking, skiing and parks. I’d recommend staying at Patricia’s to anyone looking for a relaxing stay. She brings you delicious scones and juice in the morning, and has the kitchen stocked with milk, cereal, jam and really good organic coffee. Patricia is a wonderful host, and a true animal lover. Anyone traveling with or without pets will not be disappointed. But those with pets, will especially find Cavalier Cottage incredibly welcoming and a truly special place. The Cottage was very nice, much better than an hotel, more like an apartment. Very comfortable for leaving my dog for a few hours. He seemed very comfortable here. Hopefully I’ll be back in the spring or summer. Thank you. Our 2-day stay at Cavalier Cottage was extremely pleasant. We checked into a few other dog-friendly accommodations and chose Cavalier Cottage because of its location as well as for it’s private quarters. Unlike a hotel, we were Pat’s only guests and boy was it quiet and relaxing! Great area to walk dogs!! Would highly recommend at stay at Cavalier Cottage with our without canine companions. Everything about our vacation was awesome especially our stay at the Cottage. Patricia was an awesome host and she really loves dogs which is a plus for me. We will definitely come back. Thank you for the wonderful stay at your cottage. Monica and I had a great time exploring the Mohawk Trail and the Greylock Reserve. Returning “home” after a day exploring was welcome and very pleasant at your cottage. Everything was clean, set-up perfectly and the morning scones were a bonus. Thank you again for your warm welcome and your beautiful cottage. Some friends and I spent one night at Cavalier Cottage to celebrate a couple of birthdays. We had a great time in town – we had lunch at a place Patricia recommended, went candlepin bowling, and bought some great pottery. The cottage was everything we were hoping for. Cozy, comfortable, impeccably clean. We had a lovely stay at the Cavalier Cottage. Patricia is warm and welcoming, informative and friendly – like an aunt or cousin. The cottage is cozy yet spacious with a full kitchen. Garage parking is an added bonus (especially because it snowed)! The evenings are quiet – very private – but close to the main road and attractions. While this accommodation is pet-friendly, there are no signs of pets having been here in terms of odor or hairs on furniture. We look forward to many future stays at the Cavalier Cottage! If you’re on the Mohawk trail, skiing @ Berkshire East or zip lining, kayaking the river a good clean place to stay with your pet(s). Cottage has a nice kitchen as well. My boyfriend and I stayed here for two nights with our puppy, and we had a wonderful time! The accommodations were great, and our dog loved going for walks in the beautiful surrounding area. It’s always nice to find a pet-friendly place to stay at when we travel, and this is one of the best we’ve ever found. It’s spacious, with a nice and well-stocked kitchen. Pat was super friendly and helpful, and her fresh hot scones are an amazing way to start the day! We are definitely looking forward to our next stay! I wasn’t expecting much when we booked our weekend getaway on a Saturday morning the day before we would actually go, but as soon as we took the turn off the main route towards the Cavalier Cottage I knew I would be pleasantly surprised. The place was well marked and easy to find. We were greeted by Pat the homeowner who was just lovely. She introduced herself to us and my dog Honey and made us feel right at home. She assured us of Honey’s comfort while we went skiing for the day and even offered to walk her. I could tell she was a compassionate dog lover right off the bat and felt comfortable leaving Honey with her for the day. The premises was quite tidy and cozy, truly the perfect mountain getaway for it’s proximity to home in Mass. As for the mountain, it was surprisingly fun too. There were lots of cool nooks and crannies to discover and the locals were nice too. For anyone looking to spice up their evening, conveniently located at the foot of the mountain was a package store. When we returned from the mountain Honey had been walked and was resting comfortably on the bed. We enjoyed the free wi fi and netflix access Pat extended to us, and cooked a nice dinner in the kitchenette. The shower was pretty good too! I would definitely recommend this place to any dog lover and all of my friends and family. Thanks Pat! Dear Pat, Thank you for a lovely stay. You have such a quiet, peaceful and beautiful location. Paul, Jack (woof woof) and I had a lovely time. Thoroughly enjoyed my extended stay at Cavalier Cottage! A very peaceful setting in Charlemont and a slice of dog heaven. The cottage is more than cozy with beautiful touches of flowers and morning scones. A perfectly relaxing getaway for you and your pet. Kudos to owner Pat B. for creating a truly pet friendly and charming home away from home! Cavalier Cottage was great. We love the area and wanted to spend a couple of nights away, but bring out pets. It truly was a home away from home. Our Old English Sheep dog and kitty both loved it there. It was very comfortable and homey. I loved having a full kitchen to cook and prepare meals in. It’s on a remote, country setting that makes you feel like your “getting away from it all”. However, the Wireless internet worked great, and the cable TV was nice to have to entertain the young ones. This is a lovely stay! Perfect location for exploring the region’s outdoor and cultural offerings. Pat is a wonderful host – friendly, yet allowing privacy. Will visit again. I had a very comfortable and pleasant stay here! The studio is lovely: simply but elegantly furnished, and very cozy. I came for a solo personal retreat, and it was perfect for this purpose I had complete privacy, but didn’t feel lonely or scared since Patricia is right next door. During the day, there was plenty of space and I didn’t feel cramped at all: I went back and forth between the bed, sofa, and kitchen table for reading, journaling, and reflecting. There was a soft throw-blanket for cuddling up under while reading on the couch, and a great reading lamp. I also took a few walks up and down the road, which is very scenic (it was snowing and mid-winter, so I didn’t explore any further). Wifi worked fine and so did my cell phone, and although I tried not to use them, it made me feel safer since I’m a city person and sometimes feel scared so far out in the country. Patricia was a very friendly and helpful host. Breakfast was good. Overall this was very peaceful, and I hope to go back with my family in the summer. We enjoyed a wonderful stay at Cavalier Cottage in early November. It was a joy to bring our dog Rufus. The cottage is fresh, inviting and very comfortable. Our innkeeper, Pat, welcomed us with local apples in season and lovely fresh flowers and just the right amount of information to make us feel right at home. The kitchen at the cottage was an added bonus; it was easy to prepare supper or enjoy a meal out at several local eateries. Shelburne Falls is a friendly community that is easy to explore on foot, with or without your dog. Local walks are abundant and Pat had several great suggestions. The roads around the cottage were perfect for enjoying rural vistas. It was an excellent 4-day respite and we look forward to an enjoyable return very soon. We had a lovely time at Patricia’s! The home is well-equipped, cozy and clean. Patricia has a small but great selection of books and games, and to my delight, her shelves carry “How Dogs Think” – the book I was fascinated by but had to leave for later at a busy time. What a great time to finish learning about the way our four-legged friends think! Our dog Siena had a fun time as well, and Patricia was very patient with our over-excited 10-month old behemoth of a husky mix. The town setting is beautiful, and there are several downtown areas nearby. Make sure you visit this wonderful place, and come hungry, because the scones are delicious! What can we say? It was a perfect, quiet, serene and lovely three-night getaway to a relaxing cottage in the woods. We brought our cat, some comfortable walking shoes (for us, not our cat!) and settled in at Cavalier Cottage as our “home base” for wonderful excursions to farms, general stores, maple houses, and beautiful drives through the country side. The area is friendly, artistic and creatively driven and a mecca for foodies like us! What made it best? Our wonderful host Patricia, who could not be nicer. We’ll be back for sure! We found out about Cavalier Cottage through Eddie’s Wheels website. (We had two dachunds in need of one of their carts). We arrived in Shelburne Falls in early October when the fall foliage was just about at its peak. We had missed out turn on Oxbow Road so we called ahead to find out our mistake. When we drove up Patricia was waiting for us at the end of the driveway. She warmly welcomed us and took us inside. It is a lovely, clean efficiency-type cottage with fresh flowers and fruit and French patio doors between the kitchen and living area. There was no cell phone signal in the cottage but we were receiving texts and emails. We had to go outside to return calls. We took the dogs for walks down the road several times a day. Oxbow Road is a great country road so it was great for walking the dogs. We were 5 minutes from Shelburne Falls, a quaint little town full of artisans and craftspeople. There are several restaurants and a couple of markets, both conventional and organic as well as a laundromat to do your clothes. And if you wnt to go to a larger town you are about 15-20 minutes to Greenfield. If you are looking for a quiet time with your dogs in the country, I would highly recommend Cavalier Cottage to anyone. Thank you for a wonderful stay! We all felt very at home in the Cottage. We enjoyed exploring the beautiful surroundings and most especially enjoyed the scones every morning! We can’t thank you enough for your warm welcome and gracious hospitality. Cavalier Cottage is charming and cozy – perfect for us and our lab Otis. We hope to return one day to stay longer and explore this beautiful area. I just loved the feel of the place from the moment I arrived. The beauty of the surroundings, the charming home in the countryside and the cheery welcome of our hostess, Pat, and the tail-wagging from her pets in the picture window of her home. But when she opened the door to the spacious studio apartment, I completely fell in love with the place. Move over Martha Stewart!!! The apartment is just that pretty. Fresh, bright, welcoming and decorated in crisp, clean blues – it is a delight to be here. As I write my Lhasa Apso, Bashia, is snoozing comfortably – just like at home. After a day of sightseeing and traveling about this is a haven of clean, fresh comfort for pets and their people. Absolutely charming place – I’ve taken photos to show my friends. Pat was a wonderful hostess. Each morning she had a tray of juice and biscuits for us to enjoy. The place is cozy and clean with many items for you to use to make your stay more comfortable. Cavalier Cottage is just 5 minutes from Shelburne Falls that has great bistros and a nice “artsy” feel to it. We (two people, one dog) stayed with Patricia for three nights. Without considering the dog friendly nature of Cavalier Cottage, we enjoyed a fine rental experience. The accommodations were impeccably clean, spacious, well equipped and well located on a quiet road. Patricia’s hospitality was outstanding. She has that rare ability to be friendly and very helpful while still very much respecting our privacy. We were welcomed with fresh flowers and a kitchen supplied beyond anything we might have imagined. The fresh baked scones every morning were a real treat. When you add in the warm welcome extended to Django, our dog, and how well equipped to host canines the accomodations are, it was a stay that exceeded expectations. Thanks Pat and best wishes for the future. A home away from home. A quiet, peaceful place. Up a country road but only 8 minutes from the town of Shelburne Falls with a quaint downtown, coffee shops, lots of restaurants, art galleries and the lovely Bridge of Flowers. Pat is a great hostess, friendly and helpful. And when she says pet-friendly, she really means it. I would recommend Cavalier Cottage highly! My husband and I and our two dogs, Berkeley and Pepper, stayed at Cavalier Cottage on August 4 and 5 on our way home to Tennessee from a vacation in Maine. We needed a place to stay for two nights near our son and his wife and their two dogs who live inGreenfield,MA. While we regularly visit the area this is the first time we stayed at Cavalier Cottage, which opened earlier this year. We certainly wish to stay there again. The studio apartment was spacious and inviting with comfortable and scrupulously clean bedroom, bathroom, sitting and kitchen areas. The kitchen was well equipped with excellent ground coffee from a local roaster. In addition to the coffee, cereal, milk and fresh fruit for our use in the kitchen area, our host Pat Butterfield brought delicious freshly baked scones, juice, butter and preserves to our room at a time we specified each morning. An outstanding feature of Cavalier Cottage is the degree to which it is pet friendly. Pets are not only allowed. They are treated as honored guests. If the accompanying humans need to leave their pets in the apartment alone, Pat is willing to check in on them and even provides services such as walking them or allowing them to use a fenced area behind her house for a nominal fee. She has seven dogs of her own but her dogs are sequestered from those of her guests. In addition to the excellent accommodations for pets at the cottage, there are lovely places for them to walk in the cottage’s rural setting and many nearby places for them to explore and swim. Lastly, while not at all intrusive, Pat is a most congenial host who catered to our every wish. We hope Cavalier Cottage is available to us for many years to come. We were greeted by a warm and friendly host and her cute Cavaliers. We brought our 2 bostons and felt almost like at our own home. Home made scones, and the kitchen stocked with coffee, teas, cereals, plates and more. My family and I had a wonderful stay at Cavalier Cottage. It’s an adorable studio apartment nestled in the woods. Patricia was very friendly and extremely accommodating. Good luck and much success with your business. This was an absolutely wonderful place to stay and I have recommended it to friends who live in Massachusetts. A large bedroom/sitting room, private bath and private kitchen so we could actually cook dinner one night. Chairs on the porch look out over the grounds with no other home in sight. Pat was very helpful and makes mean scones for breakfast. Pat was wonderfully generous and accommodating. We arrived to a clean, welcoming cottage, and Pat greeted us in the morning with scones and juice. A comfortable, quiet place to stay with dogs. For the 1st time ever, a sixth star is necessary for those of us with animals in the family. We had a wonderful experience at Cavalier Cottage. I could rave about the accommodations and Pat, but I will talk about Cally Berry’s time there. Animals like vacations too. We could see the subtle changes that show comfort. Cally never needed to be on leash during our stay and she loved going in and out whenever one of us did. We spent a wonderful, relaxing weekend at the Cottage. The sunny deck and garden are perfect for sipping coffee and reading. The rooms are cozy, airy and comfortable. Our dog Kit felt very welcome, and the wooded gravel roads are great for long or short walks. Shelburne Falls is a short hop down the road. Pat took very good care of us and treated us to scones and juice on the deck every morning. We’ll be back for sure! My husband and I were bringing our new furry addition to get measured for a wheelchair at Eddie’s Wheel’s and the wonderful people there recommended Cavalier Cottage to me. What a great experience it was for all of us. We routinely travel with three dogs from 100 to 12 pounds and it is not easy to find accommodations that are as pet friendly as the Cavalier Cottage. The Cottage is very inviting, quiet and the full kitchen is a bonus, particularly for those of us who prepare three different meals for our canine clan. Patricia brought over the most delicious homemade scones each morning – what a great way to start the day. The kitchen is well stocked with a variety of breakfast cereals, tea and coffee so there is no need to rush out the door. We are returning to pick up our new wheelchair and made the arrangements to return based on when Patricia had an opening at the Cottage. Our stay far exceeded our expectations. I would highly recommend Cavalier Cottage. Thank you Patricia for a wonderful stay and look forward to returning tomorrow! Cavalier Cottage was an ideal place for Hannah, my LH dachsund, and me. We spent a month here in a lovely country setting. The place was very clean and well appointed. All linens were lovely and fresh. The kitchen was well-equipped. Ceiling fans and AC were rarely needed, but worked well. Patricia was a superb host-she was very knowledgeable about the area and saw to our requests quickly. Her dogs are sweet, wonderful canines. The cottage is close to lots of activities, and I was charmed by Shelburne Falls. Thanks, Patricia. Patricia couldn’t have been a better host. Very pet friendly for my disabled dog Newman (easy in and out access.) Also very clean and odor-free, which I know must be a challenge. The area is charming and quaintly. Many great hiking and river areas nearby. Patricia guided me to close-by spots in town and each person I met was just as kind, friendly and interesting as the previous. I even stopped by the local vet for a minor issue and he didn’t even charge me for a visit. My destination was “Eddie’s Wheels” (amazing place with amazing people,) but the Cottage made the trip more of a getaway than just a necessary trip. Any pet person (or not,) I’d recommend it. I found out about the cottage online. I was so pleased to find such a cozy cottage tucked into the peaceful wood where Thelma & Louise and I could enjoy the countryside. The cottage is a wonderful respite from an urban city and has a good size kitchen, open living room and bedroom area to easily accommodate a couple and their pets. The kitchen was stocked with amenities such as tea, coffee and cereals which was a nice touch. Patricia, the owner, is very helpful with anything you need. We had a great stay and hope you do too! My wife, two dogs (Wendell and Ducky) and I stayed at Cavalier Cottage for a Saturday night so we could spend the weekend exploring the Shelburne Falls and Charlemont area. Pat was very accommodating and the facilities were new and clean. I would definitely recommend this spot to others, in fact, we hope to return over the winter months. We had a wonderful stay at Cavalier Cottage. The accommodations were immaculate, the setting relaxed and informal. Pat was the perfect host – attentive but respectful of our privacy. The cottage offered ample room to spread out and the surrounding area is absolutely beautiful… how wonderful to wake up to the sound of the breeze and chirping birds. Away from it all… but still easy access to surrounding hill towns, plus Greenfield, Brattleboro, and Northampton via 91. We definitely plan on staying here again on any return trip to the area. Very charming and clean accomodations. Pat was a wonderful host, and her breakfast was great. The kitchen had everything we needed to make our own meals (suggestion: you might want to shop at the grocery store just off the interstate before going to her house). The house is close to the Deerfield River if you like to fish for big trout or go rafting and otherwise is in a quiet and beautiful area to visit. Pat went above and beyond to help us with our special needs. We did not have any pets, but it was obvious how caring she would be for any animals that came to visit. A delightful place to stay in the country. Clean, comfortable, quiet, and Patricia’s homemade breakfast scones were incredible. Highly recommended. It is so hard to find a place to vacation with your pets (Ozzie and Joe). Even pet-friendly hotels don’t let you leave your pet if you want to go out for a few hours. Cavalier Cottage is perfect for those who like to travel with their beloved pets. The area is very peaceful and relaxing. Pat’s scones are great too! Our entire experience at Cavalier Cottage was an excellent one! Patricia is very kind and flexible and was helpful in answering or finding answers to any of our questions about the area. The cottage was comfy and just perfect for our family of four. Breakfast was delicious and delivered whenever we requested. Thank you, Patricia, for such a nice stay in lovely Massachusetts! My husband, 2 yo daughter and I recently stayed at Cavalier Cottage in the Shelburne Falls area of Massachusetts. We enjoyed our stay very much. Owner, Pat, was very welcoming and friendly, providing fresh home-baked breakfast each morning during our stay. I was instantly impressed with the cleanliness of the cottage, inside and out, upon arrival. We also brought our two Brittany Spaniels, who enjoyed walking the quiet country roads and running in the front yard as well as a nearby open field. The five of us also enjoyed relaxing on the front porch overlooking the quiet country surroundings. The cottage was very convenient to downtown Shelburne Falls, which offers various shops, art galleries and restaurants. Overall, we had a wonderful experience and would recommend to others, especially those who wish to travel with their furry companions. Pat Butterfield’s pet-friendly rural Pioneer Valley cottage is an ideal escape from urban America. We spent three relaxing nights there with our Golden Retriever after touring Shelburne Falls, southern Vermont, the Clark art museum in Williamstown, and Hancock Shaker Village near Pittsfield. Since there is much more to see and do in western MA and southern VT and NH, we are planning another visit in the fall. It will be fun to visit with Pat and her rescued pets once again. The accommodations are clean and comfortable; the price reasonable, and the freshly baked breakfast scones will get you off to a hearty start in the country. Thank you Pat for coming up with a great concept for people who love to travel with their dog(s – Karma)! Delightful, quiet, clean, charming! We are very happy we couldn’t get our usual Amherst-area lodging and found Cavalier Cottage (on the web). We hope to come again soon! Our stay at Cavalier Cottage could not have been any better. The cozy but spacious cottage was a home away from home. Our 4-legged family member was just as welcome as were we with every need met 100%. We enjoyed the peaceful atmosphere, clean accommodations and the delicious warm scones in the morning. Wow, it can’t get any better. Thank you Patricia! Our experience at Cavalier Cottage couldn’t have been better. The cottage was fantastic, super comfortable, cozy and with lots of space for my husband, my dog Bongo and myself. It was pretty hot outside but the cottage always remained cool. The kitchen had all the necessary items, coffee, tea, cereal, milk, and many more things. Patricia was the most amazing host I’ve ever had and assisted us with anything we needed. She gave us a couple of maps and told us where to go, gave us directions and recommendations. Patricia served for breakfast the best scones I’ve ever had in my life. The area in which the Cottage is located is really amazing and beautiful and it’s surrounded by hiking and walking trails. It definitely exceeded our expectations. We highly recommended it even if you don’t have dogs. We’re already planning our next visit to Cavalier Cottage. Thanks Patricia for everything! Friendly, accommodating, welcoming and very, very CLEAN . There are not many B&B’s around I can say I would return to but my wife and I thoroughly enjoyed our stay at Cavalier Cottage. The location is incredible, peaceful and quiet, surrounded by the serenity of the Deerfield River corridor – yet a short drive over the bridge and you have all the amenities of an artisan village in Shelburne Falls. The history runs deep and the tranquility of the surrounding mountains is rejuvenating. There’s so much to do. I don’t know where to start. The Location: beautiful, serene, and relaxing. Also very close to extremely quaint new england villages. The Facility: Fantastic. Everything was clean and neat and the kitchen is phenomenal. If only my own kitchen were so spacious and well-stocked! The Hostess: Gracious, kind, professional and thoughtful. I highly recommend this place for vacationers, and vacationers with pets. Really great stay. Our stay met (surpassed) our expectations. Cavalier Cottage was just what I was looking for…a clean, comfortable and affordable place to stay for the weekend with our 2 dogs. While Dave participated in the River Rat Canoe Race, I was able to relax and hangout with our dogs and take them on some nice country road walks. Patricia made us feel comfortable because she understand dogs and dog owners. We will stay again next year. Our stay at Cavalier Cottage exceeded expectations. We arrived after a long drive to an incredibly cozy (but spacious) and well-stocked studio, and felt immediately welcomed and comfortable. Pat greeted us every morning with her own freshly made scones, as well as baked goods from the local bakery. The Cottage is in a great location, with nearby hikes, rafting, restaurants (Gypsy apple is wonderful for a nice night out), Mass Moca, and even a great bowling alley. It was lucky to have such a great place available where we could also bring our dog (Roxie), who enjoyed the trip just as much as we did 🙂 We’ll definitely be returning to the Cottage on our next trip to Western MA. My fiance and I stayed at Patricia’s cottage with our two dogs. The cottage is beautifully located on a dirt road out in the hills and forest of Western Mass. We had amazing hikes and walks with our dogs (BeebeGun and Wallace) several times a day which was delightful. We day tripped to Mass MOCA and Shelburne Falls easily. The cottage is quaint and simple but there was plenty of room for us to stay comfortably. Patricia was friendly and helpful in every way without being overwhelming. Patricia has many dogs so, in my opinion, you MUST love dogs to be comfortable in her cottage. We do so it was not a problem for us at all. Patricia was a wonderful host. I was looking for a place to relax and I certainly chose the right one! The house is very quiet, and there are hiking and walking trails nearby. Patricia offered fresh-baked scones for breakfast, and the kitchen was stocked with milk and cereal, tea and coffee, and a few other essentials. I didn’t bring my dog with me this time, but this would be an ideal place for dog owners and I certainly plan to return with my pup in future. The scenery is beautiful, the house is well-stocked and comfortable, and Patricia is a lovely and accommodating host. Highly recommended! Patricia – thank you for sharing your lovely cottage with us. The location, decor, and price should make this a destination spot for anyone wanting to explore the Mohawk Trail/Shelburne Falls area. We didn’t bring any pets, but still had a great time; although, I would highly recommend Cavalier Cottage to guests with dogs. Thanks again! The small details really added to the experience; like the bottle of wine, fresh fruit, chocolates on the bedstand, and fresh morning breakfast. Everything was excellent! The accommodations were large and spacious and we certainly appreciated the full kitchen. Access to the mountain was convenient. And we really enjoyed the fresh scones! Being from NYC we were looking forward to vacationing in a remote area that was still accessible to local attractions…the cottage was spot-on with hospitality to match. 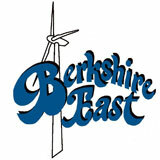 We will definitely be returning and recommending to friends and family who frequent Berkshire East. My husband and I stayed at Pat’s Cavalier Cottage earlier this month. It’s a lovely place and very comfortable. I especially like the kitchen which is clean and stocked with coffee, tea, cereals, and milk. Every morning Pat brings in fresh muffins, scones, and croissants with jam and butter. We travel with our little dachshund and are always looking for clean, odor-free, animal-friendly places. Cavalier Cottage is all this and more. Thank you, Pat. We’ll be up another time soon. The cottage is clean, full of light and simply decorated. I have stayed in frilly, cutesy, flowery places that felt downright claustrophobic. The full-size kitchen has new appliances and is stocked with everything one could want, from coffee and teas to hot cereal and a variety of fresh fruit. Pat, the proprietor, spoiled me with fresh baked English scones each morning of my stay. It is located on a country road that offers lovely, peaceful walks past farm houses and woods. I was attending a conference during my stay and found it convenient to major roads. Probably the most outstanding feature of this charming place is the woman who owns it. She has created a warm and welcome spot for pets and their humans. I brought my new rescue dog Fiona, who had been with me for only a week. Pat supplied a crate, offered welcomed advice and some of her homemade dog food when Fiona would not eat what I brought. Pat is helpful, generous and never intrusive. Cavalier Cottage is a wonderful place to stay with or without your pets. As a woman who travels alone, I really value privacy, convenience, safety and beautiful countryside. I found it all in this lovely B&B. Cavalier Cottage is a delight and Pat B. is a delightful hostess. The area is beautiful, the accommodation very comfortable, and Pat makes you feel right at home. If you are an animal lover, this is the place to stay in Western Massachusetts! Great location off Rt.2. Comfortable, bright, plenty of room. Nice to have fridge and stove. We heated up leftovers for an evening snack. Scones were served hot with james and fresh juice-fresh fruit was available along with coffee, teas & cereals. Pat thanks for everything.